The first operational USAF F-35 on its delivery flight to Eglin Air Force Base in July 2011. Lockheed Martin F-35 Lightning II procurement is the planned selection and purchase of the Lockheed Martin F-35 Lightning II, also known as the Joint Strike Fighter (JSF) by various countries. The F-35 Lightning II was conceived from the start of the project as having participation from many countries, most of which would both contribute to the manufacture of the aircraft and procure it for their own armed forces. While the United States is the primary customer and financial backer, the United Kingdom, Italy, the Netherlands, Canada, Turkey, Australia, Norway and Denmark have agreed to contribute US$4.375 billion toward the development costs of the program. Total development costs are estimated at more than US$40 billion (underwritten largely by the United States), while the purchase of an estimated 2,400 planes is expected to cost an additional US$200 billion. Norway has estimated that each of their planned 52 F-35 fighter jets will cost their country $769 million over their operational lifetime. The nine major partner nations, including the U.S., plan to acquire over 3,100 F-35s through 2035, which, if delivered will make the F-35 one of the most numerous jet fighters. There are three levels of international participation. The levels generally reflect the financial stake in the program, the amount of technology transfer and subcontracts open for bid by national companies, and the order in which countries can obtain production aircraft. The United Kingdom is the sole "Level 1" partner, contributing US$2.5 billion, which was about 10% of the planned development costs under the 1995 Memorandum of Understanding that brought the UK into the project. Level 2 partners are Italy, which is contributing US$1 billion; and the Netherlands, US$800 million. Level 3 partners are Turkey, US$195 million; Canada US$160 million; Australia, US$144 million; Norway, US$122 million and Denmark, US$110 million. Israel and Singapore have joined as so-called "security cooperative participants" (SCP). Some initial partner countries, including the United Kingdom, and Norway, Netherlands as well as Thailand, Indonesia and Israel, have wavered in their public commitment to the JSF program, hinting that the design goals are overambitious or warning that unless they receive more subcontracts or technology transfer, they will forsake JSF for the Eurofighter Typhoon, Saab JAS 39 Gripen, Dassault Rafale or simply upgrade their existing aircraft. Furthermore, F-35 export competitiveness has been hurt by international buyers finding either its export variant too costly per unit or "watered down". While the F-16E/F costs $50 million per export copy, the F-35 is likely to cost between $110–130 million. The exported F-35 versions will have the same configuration as the U.S. versions, according to Brigadier-Gen. David Heinz, program executive officer in 2009. In 2001 Lockheed Martin claimed a potential market of 5,179 aircraft, including exports beyond the partner countries. The size of the market was instrumental in determining many of the cost calculations and economies of scale. More recent critical analysis has seriously questioned the assumptions made in estimating these markets and hence the resulting unit cost of the aircraft and its life-cycle costs as well. Congress may allow the US military to perform a "block buy" of 477 aircraft over 3 years, starting the cost/scale-spiral in a desirable direction. Several government officials, including Canadian Industry Minister Tony Clement, have used the production number of 5,000 as recently as September 2010 as an indication of the supposed benefit to industry in providing components and services for this large fleet. Analyst Kenneth Epps stated in November 2010: "The global F-35 market of "up to" 5,000 aircraft cited by Canadian industry and government officials is outdated and now greatly overstated. Realistically, the likelihood of worldwide F-35 sales is closer to the figure now given as the order total for the program partner countries, that is, "up to" 3,500 aircraft. The uncritical use of F-35 sales projections that are now almost 10 years out of date calls into question other claims made by officials about the F-35 program." An issue that affects all the international partners in the F-35 involves access to the computer software codes for the aircraft. The F-35 relies heavily on software for operation of radar, weapons, flight controls and also maintenance. The US military has stated that "no country involved in the development of the jets will have access to the software codes" and has indicated that all software upgrades will be done in the US. The US government acknowledges that Australia, Britain, Canada, Denmark, Italy, the Netherlands, Norway and Turkey have all expressed dissatisfaction with that unilateral US decision. The UK specifically indicated they might cancel its entire order of F-35s without access to the coding, without which the nation will be unable to maintain its own aircraft. Allen Sens, a defence analyst at the University of British Columbia stated in November 2009: "What has happened is really quite unusual because we're talking about some of America's very close allies. You would have thought they could build in some maintenance codes that could be accessible to their allies." Sens indicated that the decision could be as a result of concerns about software security and also pressure from Congress to protect jobs in the US. In December 2010 leaked United States diplomatic cables disclosed that the US State Department is actively engaged in marketing the F-35 internationally though diplomatic channels and that serious diplomatic pressure had been applied to Norway to buy the aircraft. Jeff Abramson of the Arms Control Association has said that the push to sell the F-35 is part of Obama's "national export initiative" which seeks to double America's export sales through increased arms sales. European participation in the Joint Strike Fighter project has divided the countries and help preempt a European fifth generation jet fighter program, undercutting exports for their existing models. In early 2012, after news leaked of a third restructuring of the program in three years, a parade of high-level visitors from the partner countries visited the United States to check on when they could get their aircraft. Ahead of the usual biannual meeting of military leaders in Australia in mid-March, the partner nations agreed to hold annual meetings at the political level. In March 2014, a spokesman for Lockheed Martin Canada, Mike Barton, said "We’ve heard nothing about it impacting foreign interest," in reaction to General Mike Hostage, head of Air Combat Command, calling the aircraft irrelevant without accompanying F-22s. As of April 2010 the United States intends to buy a total of 2,443 aircraft for an estimated US$323 billion, making it the most expensive defense program in US history. In September 2010 the US purchase plans came under review over the rapidly escalating development and production costs of the aircraft. Initial estimates of US$50M per aircraft had increased to at least US$92M, with some US estimates indicating US$135M. US Undersecretary of Defence, Ashton Carter issued a memo in September 2010 requiring proposals on how to drive program costs down, stating "The Department is scrubbing costs with the aim of identifying unneeded cost and rewarding its elimination over time." In response Lockheed Martin has indicated that it is on "the path to achieving an average unit cost of about $60 million". Also in September 2010 the U.S. Senate Appropriations Committee indicated that the problems in the F-35 program were symptomatic of Pentagon mismanagement, pointing out "the lack of proper control in the defense budget process". The committee urged the Pentagon "to regain control over its budget". The committee also considered scrapping the entire program at that time, dissuaded only by the country's urgent need for new fighters. New America Foundation defence analyst Bill Hartung has stated that the US government may try to reduce the overall costs of the program by reducing the number of aircraft it will procure. Hartung notes that this will increase the per unit cost for the international partners and also reduce the amount of business given to companies bidding on manufacturing contracts in partner countries as well. On 6 January 2011, United States Secretary of Defense Robert M. Gates announced that the Defense Department will cut the number of planes the military will buy from Lockheed Martin in the next two years because of "significant testing problems" which could lead to a costly redesign of the F-35B that the program could not afford during federal budget cuts. "If we cannot fix this variant [F-35B] during this time frame and get it back on track in terms of performance, cost and schedule, then I believe it should be canceled," Gates said in a statement. 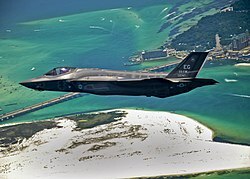 The United States Department of Defense was planning to buy 14 F-35Bs in fiscal year 2012 and 25 the following year. Instead, six will be bought next year and another six in fiscal year 2013. Over the next five years, the Marine Corps will receive 50 F-35s, down from a planned 110. The number of Navy F-35Cs and Air Force F-35As will also be reduced. The Navy total was reduced by seven jets over the next five years, with most of the cuts in fiscal year 2016, while the number of Air Force jets was decreased by 57 over the next five years. Only 19 jets are slated for delivery next year. The current plan is that the Marine Corps will purchase 340 of the F-35B and 80 of the F-35C, while the Navy will purchase 260 of the F-35C. The five squadrons of Marine F-35Cs will be assigned to the Navy carrier air wings while the F-35Bs will be used on amphibious ships and ashore. In March 2011, Vice Admiral David Venlet, the chief of the F-35 Joint Program Office, testified at a US congressional committee that the F-35A procurement cost estimate will be $126.6 million per aircraft, including $15 million for the engine. By the end of March 2011 the voices in the US calling for the end to the F-35 program were increasing in volume. Dominic Tierney of The Atlantic pointed out the whole program cost is now forecast to exceed US$1T, more than the annual GDP of Australia. He noted, "Money is pouring into the F-35 vortex.... An internal Pentagon report concluded that: "affordability is no longer embraced as a core pillar." In January 2011, even Defense Secretary Robert Gates, a champion of the aircraft, voiced his frustration: "The culture of endless money that has taken hold must be replaced by a culture of restraint"." Tierney further noted that the F-35 is an old Cold War–concept aircraft intended for a war between major powers, and is no longer useful in the 21st century with its asymmetric warfare. He concluded: "It's hard to square the military largesse with our rampant debt." In April 2011 Winslow Wheeler, a former US advisor to both Republican and Democratic senators, employee of the General Accounting Office and now with the Center for Defense Information in Washington, criticized the F-35's price and performance. "This airplane is nothing to write home about," he stated, it is "a gigantic performance disappointment". Wheeler said: "As an American, this program should be terminated immediately. It's unaffordable and the performance is unacceptable already. We need to start over and form a competitive fly-before-you-buy selection." In April 2011 the USAF listed "a more affordable JSF" as its top acquisition priority. On 20 May 2011, Senators on the Armed Services Committee asked Ashton Carter to report on alternatives should the F-35 program fail to delivery timely affordable capabilities, after Carter said that there were no good alternatives to the F-35. Retiring Defense Secretary Bob Gates has said that troop pay, benefits, and numbers may need to be cut to pay for the F-35 cost overruns. While the 2012 defense department Selected Acquisition Report shows the USAF purchase of 60 to 80 aircraft per year from 2016 to 2030, the USAF's goals for total numbers of fighter aircraft could be met by maintaining the 48 aircraft per year purchase rate of 2017. The increase in production rate would leave the USAF with 300 more aircraft than planned for in 2030. On 29 November 2012, the Pentagon reached an agreement on Lot 5 of the F-35 program, buying 32 aircraft. Lot 5 contains 22 F-35As, 3 F-35Bs, and 7 F-35Cs. The contract deal was rushed to protect them from possible sequestration cuts. However the JSF was noted as one of major programs that would suffer cuts if the house of representatives fails to follow the Senate's lead in passing a bill to resolve the United States fiscal cliff. Lot 6 was awarded on 28 December 2012. The contract is for 18 F-35As, 6 F-35Bs, and 7 F-35Cs. Deliveries of the Lot 6 order will begin in mid-2014. Lot 6 included the 31 aircraft for the U.S., plus 3 F-35As for Italy and 2 F-35As for Australia. As of 30 July 2013, Lockheed has delivered 67 F-35s from the first five production lots, with 28 still on order. On 30 July 2013, Lockheed agreed to reduce prices on Lot 6 by 4 percent compared to Lot 5, and will reduce the price of Lot 7 by another 4 percent. Pricing for Lot 5 took one year of negotiating, while Lots 6 and 7 took six months. Lot 6 prices are $100.8 million for the F-35A, $108.5 million for the F-35B, and $120 million for the F-35C. Lot 7 deliveries for 35 aircraft will begin in mid-2015, and includes 19 F-35As for the USAF, 6 F-35Bs for the USMC, 4 F-35Cs for the USN, 3 F-35As for Italy, 2 F-35As for Norway, and 1 F-35B for the U.K. Lot 7 prices are $96.8 million for the F-35A, $104.2 million for the F-35B, and $115.2 million for the F-35C. Full-rate production for the F-35A is expected at $80–90 million per unit. A deal for Lots 6 and 7 was officially finalized on 24 September 2013. By March 2014 due to budgetary constraints the US Navy indicated that it would buy only 36 F-35Cs instead of 69 between 2015-20. The USAF will also defer the purchase of four F-35As in 2015, while Marine Corps orders will not change. Defense Secretary Chuck Hagel further indicated that the number of F-35s to be funded between 2014-19 could be further reduced unless Congress revokes the automatic budget cuts programmed for FY2016 and later by the Bipartisan Budget Act of 2013. In April 2015 the US Navy indicated that it was looking at purchasing additional F-18 Super Hornets to fill in a gap in aircraft in service forecast as a result of increasing delays in the F-35 program. One of the UK's F-35 aircraft (bottom) flying alongside American versions of each F-35 variant over Eglin Air Force Base in 2014. In December 2006 the United Kingdom announced that it would acquire 138 F-35Bs for the Royal Air Force and the Royal Navy. The UK became increasingly frustrated by a lack of U.S. commitment to grant access to the technology that would allow the UK to maintain and upgrade its F-35s without US involvement. For five years, British officials sought an ITAR waiver to secure greater technology transfer. Although this had the support of the Bush administration it was repeatedly blocked by U.S. Representative Henry Hyde, on the grounds that British laws were insufficient to prevent unauthorised transfer of U.S. technology to third parties. On 27 May 2006, President George W. Bush and Prime Minister Tony Blair announced that "Both governments agree that the UK will have the ability to successfully operate, upgrade, employ, and maintain the Joint Strike Fighter such that the UK retains operational sovereignty over the aircraft." In December 2006, an agreement was signed which met the UK's demands for further participation, i.e., access to software source code and operational sovereignty. The agreement allows "an unbroken British chain of command" for operation of the aircraft. The UK was still considering an unspecified "Plan B" alternative to buying the Joint Strike Fighter. In 2007, the Ministry of Defence placed orders for two Queen Elizabeth class aircraft carriers to operate the F-35B variant. On 2 May 2008, however, the Washington Post reported that an Inspector General's report chided the U.S. Department of Defense's Defense Security Service for failing to ensure that BAE Systems was exercising appropriate controls over access to sensitive technologies, while both BAE and Lockheed Martin denied that any technology had been compromised. On 18 March 2009, Defence Secretary John Hutton announced the MoD had agreed to purchase three test F-35Bs, and on 22 December 2009 financial approval for the purchase of the third aircraft was given. On 26 January 2010, following over 18 months of simulator training, Squadron Leader Steve Long completed a test flight becoming the first British active duty pilot to fly the F-35. Speculation mounted in 2009 that the UK government would switch from the F-35B to the F-35C model, with its greater range and payload. The UK would require fewer F-35Cs and save about $25 million for each aircraft ordered. In October 2010, press reports suggested that the Conservative-Liberal Democrat coalition government were considering reducing the order for the F-35 from 138 to a currently unspecified but lower number as of the 2010 Strategic Defence and Security Review. This was confirmed by a MoD spokeswoman in 2012. The proposed cuts would also close RAF Lossiemouth, chosen as the main operating base for the F-35. On 19 October 2010 Prime Minister David Cameron announced in the Strategic Defence and Security Review that the UK would procure an unspecified number of F-35Cs, to fly from a Queen Elizabeth class aircraft carrier, instead of the F-35B. This change would require the aircraft carrier to be equipped with catapults and arresting gear. In January 2012, British Defence Minister Philip Hammond visited the United States to seek clarification about the impact of the new American military strategy on the availability of the F-35 for Britain's new carriers. In May 2012, Hammond announced that the UK coalition government had reverted to the previous government's plan to operate the F-35B STOVL variant, due to rising estimated shipbuilding costs associated with the F-35C, and an earlier estimated in-service date for the F-35B. In July 2012, Hammond stated that an initial 48 F-35Bs would be purchased to equip the carrier fleet, but a final figure of F-35 purchases would not be decided until the Strategic Defence and Security Review in 2015 — it was also suggested that the UK may later purchase F-35A variants to replace the country's Eurofighter Typhoon fleet. In November 2015, the Chancellor George Osborne announced that the UK will order the full original total of 138 F-35 aircraft to equip the Royal Navy's two new Queen Elizabeth-class aircraft carriers. The aircraft will also be used by the Royal Air Force over time, and be one of the replacements for the Panavia Tornado. It was stated that at least 24 of the aircraft would be available by 2023 for use on board one of the navy's aircraft carriers, thus leaving more time for testing and training before it becomes operational. It is expected that all 138 F-35 aircraft will be in service by the 2030s. At least one permanent F-35 squadron will stand up sometime around 2018, but this is expected to increase to two or three squadrons in the 2020s. The F-35 will be one of the two main fast jet aircraft operated by the UK, the other being the Eurofighter Typhoon. Italy is the second largest JSF contributing partner after the UK. In October 2008, the Italian government outlined a requirement for 131 F-35s for the Aeronautica Militare and Marina Militare, consisting of 69 F-35As and 62 F-35Bs. Under this plan the Italian Navy would have received 22 F-35Bs while the Air Force would get 69 F-35A and 40 F-35B STOVL version aircraft. The Navy plans to use the F-35Bs on the new Cavour STOVL carrier. Alenia Aermacchi will be the second source supplier of the wing box. Under the terms of agreement Alenia Aeronautica is slated to produce more than 1,200 wings for the F-35 for the nine partners, United States, United Kingdom, Netherlands, Turkey, Australia, Canada, Denmark and Norway. Other participation in the program includes work on the electro-optical targeting system, on the electronic-warfare suite, ejection seat, radio, 25 mm gun and DAS systems, performed by Leonardo-Finmeccanica's companies. Avio participated in both the Pratt & Whitney F135 and General Electric/Rolls-Royce F136 powerplant programs. On 7 October 2008, Italy announced it would not participate in initial F-35 testing and evaluation, and will not purchase test aircraft. Italy's Air Base of Cameri will be the only Final Assembly and Check Out/Maintenance, Repair, Overhaul & Upgrade (FACO/MRO&U) facility outside the US, for the final assembly of F-35s to be delivered to Italy and the Netherlands, with an estimated cost of $775 million. The FACO could also operate as a regional F-35 maintenance and support center. As of 2015[update], there are 800 Italians and 30-40 LM personnel at Cameri. In early February 2012, Corriere della Sera reported that the Italian purchase would be cut back to 100 to 110 aircraft, but the defense ministry said at that time that no decision had been made. On 15 February Defence Minister Giampaolo Di Paola announced that Italy would cut its F-35 order by 41 aircraft from the initially announced 131 to 90 as a result of the country's sovereign debt crisis. On 26 June 2013, Italy's ruling parties agreed to again seek parliament approval before advancing further in the program. Parliament approved a six-month review of the program by a vote of 381 to 149. On 16 July 2013 the senate agreed to allow the existing purchase to go through, but said they would review any further purchase. The first F-35A assembled in Italy flew from Cameri on 7 September 2015. In July 2018, after the rise of the Conte Cabinet, it was reported that no more Italian orders for F-35 are expected, and the current order could be cut to save money. In October that year, the Italian government announced it would cut €450 million from its 2019 defense budget. One of the measures taken to achieve this is a slowdown in the purchase of F-35 aircraft to spread out payment. In November 2018 it was reported that the slowdown would reduce Italy's acquisition rate from ten aircraft per year down to six or seven, but still ultimately buying 90 aircraft total. In December 2018, the Italian Defence Ministry reiterated that the government would not reduce the order, and that Italy stands by its decision to procure the F-35, despite conflicting statements by coalition party members in the past. The Netherlands had plans to acquire 85 F-35As for the Royal Netherlands Air Force. The aircraft will replace an aging fleet of F-16AMs. The Dutch government had expected that the costs would be €5.5 billion for the initial purchase and €9.1 billion for 30 years of service, which comes down to a lifetime cost of about US$215 million per unit. [N 1][N 2] On 19 November 2007, in the Dutch Parliament, the Secretary of Defence was questioned about the JSF delay, technical problems and rising costs. However, on 29 February 2008, the executive council of the Dutch government decided to go ahead with the purchase of two test aircraft, and a memorandum of understanding was signed. On 7 September 2008 Dutch television show "Reporter" reports that counter orders are lagging behind compared to promises and that an active lobby by the Royal Netherlands Air Force has manipulated the Dutch government into participating in the project. In 2010, the Dutch parliament voted to cancel its order for the first test series. Because there was only a caretaker government at that time, Defence Minister Van Middelkoop stated he can and will not honor the wishes of the parliament, but that the next government should decide on the issue. The next defence Minister Hans Hillen planned to continue the purchase in the face of budget cuts that will see thousands of defense employees go as well as the sell off of Dutch military aircraft and ships, in order to maintain Dutch industrial participation in the F-35 program. On 20 April 2011 the newly elected Dutch parliament reversed the vote by its predecessor and voted to purchase a second test F-35. In December 2010, Defence Minister Hans Hillen said that he had "great difficulty" with a cost increase of 20% over what the Netherlands had budgeted and that he would work with the UK and Norway on the issue. On 8 April 2011, the Netherlands agreed to buy a second test aircraft, and signed a deal to purchase it at the end of the month. Later that month, Dutch defence minister Hans Hillen suggested that their purchase level would be lower than 85, as the plan was to replace F-16s on a one for one basis and Dutch F-16 numbers had already dropped to 68. Lockheed was confident that the Netherlands will purchase the full order of 85 F-35 fighters. 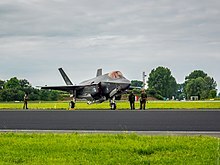 However, the Dutch Minister of Defence announced in March 2013 that the test programme would be stopped until further notice and that the purchase of the F-35 was not at all certain. The two F-35s on order will be placed in storage until a decision is made. Considerations of some Dutch politicians to buy alternatives such as Saab AB's Gripen, Boeing F/A-18 E/F Super Hornet or the EADS Eurofighter, caused the US DoD to suggest (in April 2013) these options would cost more in the long run. In 2013 the Netherlands Court of Audit found that increasing per-unit costs of the F-35 had driven the number of aircraft that could be afforded below the minimum level needed to fulfill NATO requirements. In September the Dutch government stated a commitment to replace the F-16 with F-35. The anticipated number is 37, and the budget is 4.5 billion euros ($6.01 billion) for the warplanes and an additional 270 million euros per year in operating costs. On 17 September 2013 the Dutch government announced that it will purchase 37 JSF fighters for a purchase price of around 4.5 billion euro. In January 2014, the Dutch defence and foreign affairs ministers revealed that their F-35s could be used for delivery of nuclear weapons. The previous year Parliament support no nuclear role for the F-35 and the ministers still support disarmament, but they say the Netherlands still has a nuclear role "for the time being" due to their role within NATO. In September 2018, the Ministry of Defence removed the cap of €4.5 billion allocated to the procurement of the F-35, a political decision that was reached in 2013 as it was a demand from the coalition partner Labour Party. The potentially enlarged budget would allow the Royal Netherlands Air Force to procure the initially planned 67 aircraft spread over 4 squadrons. In December 2018, Dutch Minister of Defence Ank Bijleveld stated that the Netherlands is investing in its armed forces to grow towards and eventually reach the NATO 2% of GDP defense spending norm. In this statement, minister Bijleveld also stated that NATO desires a third Dutch F-35 squadron, which equals to 15 aircraft in addition to the current order of 37. Australia is participating in the F-35's development, and expects that overall, 72 or more F-35As will be ordered to replace the Royal Australian Air Force's (RAAF's) F/A-18 Hornet aircraft. The government of Australia announced that it would buy into the F-35's development on 22 June 2002. This decision ended the competition to replace Australia's F/A-18 and F-111 aircraft before it formally began, with other aircraft manufacturers being advised that it would not be worth submitting proposals. The government argued that joining the F-35 program at an early stage would allow Australia to influence the F-35's development, provide the government with information on the aircraft's suitability, and generate savings of over $600 million if an order for F-35s is eventually placed. Australia formally signed up to the F-35 "systems development and demonstration phase" as a Level 3 participant on 30 October 2002. In 2002, the Howard government ignored military advice that it was too soon to join the F-35 program, and directed the "Air 6000" program to settle on the JSF. The expected cost was $28 million per fighter in 1994 US dollars. In November 2006, declaring satisfaction with the F-35's progress to date, the government gave 'first-pass' initial approval to the project under which F-35s will be acquired, deferring to late 2008 a decision on whether to actually order the aircraft. Following this initial approval, on 13 December 2006 Australia signed the JSF Production, Sustainment and Follow-on Development Memorandum of Understanding, which commits Australia to the next phase of the F-35's development. In October 2006 the deputy chief of the Air Force, Air Vice Marshal John Blackburn, publicly stated that the RAAF had considered suitable aircraft which could be acquired if the F-35 was delayed, but that such aircraft were not believed to be necessary on the basis of the F-35 program's progress at the time. Concerns over the F-35 delivery schedule developed in Australia during 2007. In February the defence minister announced that a risk mitigation strategy, which involved obtaining F/A-18F Hornets, was being developed to prevent a gap in the RAAF's air combat capability if the F-35 program was delayed. This strategy was adopted, and an order for 24 F/A-18Fs was announced on 6 March 2007. The first aircraft was delivered in 2009 and the first squadron was declared operational in December 2010. Following the 2007 Australian Federal Election, the new Australian Labor Party Government launched an inquiry into the replacement of the RAAF's air combat capability. The party had expressed concerns over the F-35's adequacy while it was in opposition, and proposed acquiring F-22s to replace or supplement the RAAF's F-35 force. An approach was made to the U.S. Government for F-22s in early 2008, but was not successful as these aircraft are not available for export. In April 2008 it was reported that the air combat review had found that the F-35 was the most suitable aircraft for Australia. In 2011 leaked documents revealed that the review and the attempt to purchase the F-22 were simply to satisfy domestic politics in Australia and no serious consideration had been given to any aircraft other than the F-35. In October 2008 it was reported that the Australian Government may order 75 F-35s instead of the 100 originally (and still officially) planned, due to the impact of the global financial crisis and a large long-term funding gap in the Defence budget. The Government's Defence white paper released in April 2009 argued for a purchase of up to 100 F-35s, however. There has been much debate in Australia over whether the F-35 is the most suitable aircraft for the RAAF. It has been claimed that the F-35's performance is inferior to Russian-built fighters operated by countries near Australia (such as the Su-27 and Su-30 in Indonesia), that it cannot meet the RAAF's long-range strike requirement, and that further delays to the F-35 program may result in the RAAF experiencing a shortage of combat aircraft. The RAAF has stated that it believes that the F-35 will meet Australia's needs, and both of Australia's major political parties currently support the development and purchase of the aircraft (though differences remain on the deadline and the number of aircraft). Former defence minister Joel Fitzgibbon has charged the defence chiefs with an obsession for the JSF. On 21 August 2009, it was reported that the RAAF would get two F-35s for testing in 2014 and that the initial squadron would be delayed until 2017. On 11 September 2009, Air Marshall Mark Binskin said that a fourth squadron of F-35s for the RAAF would be imperative. On 25 November 2009, Australia committed to placing a first order for 14 aircraft at a cost of A$3.2 billion, with deliveries to begin in 2014. However, in May 2012, it was announced that the purchase of twelve F-35As from the initial order were being deferred to 2014 as part of wider ADF budget cuts in order to balance the Federal Government budget for the 2012-13 financial year. Two F-35As from the initial order are in production and are still expected to be in Australian service in 2014 for testing and evaluation. Air Marshal Geoff Brown, the Chief of Air Force, has said that "anything less than 100 JSFs severely limits the options available to government and only provides a boutique capability", and that the fighter is necessary for the RAAF to be able to keep up with the aircraft other air forces in Australia's region are expected to operate in the 2020s. The construction of the Canberra class amphibious vessels for the Royal Australian Navy has led to suggestions from some quarters that the RAN should procure a number of the F-35B STOVL version to operate from these ships. However, while cross-decking with other nations may well occur, the RAN has stated that the operation of Australian fixed wing aircraft is unlikely. In 2014 Defence Minister David Johnston said that the government was considering the purchase of F-35Bs to use aboard the ships. Tony Abbott directed that the team developing a new defence white paper consider the issue. This assessment found that the cost of modifying the ships to operate F-35Bs would be very high, and the idea was rejected before the completion of the White Paper. On 23 April 2014, Australia confirmed the purchase of 58 F-35A Lightning II fighters in a US$11.5 billion deal. The 58 fighter order is the second tranche of the Australian Defence Force's Air 6000 Phase 2A/2B new air combat capability (NACC) project, with a previous order of 14 F-35s being the first tranche. The 72 F-35s will replace the RAAF's fleet of 71 F/A-18A/B Hornets and supplement the country's F/A-18F Super Hornet and EA-18G Growler fleets. The first four F-35s are to be delivered to Australia in 2018, with IOC being reached in 2020. A Phase 2C tranche of the plan is to purchase 28 more planes to replace the Air Force's 24 Super Hornets. Although Super Hornets were bought as a bridging capability until the arrival of the F-35, delays in the JSF program will keep the Super Hornets and Growlers flying for 20 years, with a decision regarding Phase 2C deferred until the early 2020s. The purchase will be in line with previous defense budget planning. Australia's first F-35A, designated AU-1 by Lockheed and A35-001 by the RAAF, made its first flight on 29 September 2014 at the company's Fort Worth, Texas facility, flying for two hours. AU-1 and AU-2 will be transferred to the USAF training school at Luke Air Force Base in Arizona in early 2015. RAAF F-35s will remain at Luke AFB until 2018, when they will be delivered to Australia for national-specific operational test and evaluation work. Australia started an A$950 million program in 2015 to provide better security for its F-35 bases. Canada has been involved in the Joint Strike Fighter Program from its beginning, investing US$10 million to be an "informed partner" during the evaluation process. Once Lockheed Martin was selected as the primary contractor for the JSF program, Canada elected to become a level 3 participant, along with Norway, Denmark, Turkey and Australia. An additional US$100 million from the Canadian Department of National Defence (DND) over 10 years and another $50 million from Industry Canada were dedicated in 2002, making them an early participant of the JSF program. On 16 July 2010, the Canadian government announced that it would buy 65 F-35s to replace the existing 80 CF-18s for $16B (with all ancillary costs included) with deliveries planned for 2016. The intention to sign a sole-sourced, untendered F-35 contract and the government's refusal to provide detailed costing became one of the major causes of a finding of contempt of Parliament and the subsequent defeat of Stephen Harper's Conservative government through a non-confidence vote on 25 March 2011. This directly led to the F-35 purchase becoming an issue in the 2011 federal election, in which Harper's Conservatives won an increased number of seats to form a majority government. On 19 October 2015 the Liberal Party of Canada under Justin Trudeau won a large majority in part on a campaign promise to not purchase the F-35, but instead an aircraft more suited to Canada's defence requirements. However, the new Defence Minister has refused to rule out the F-35 in a new procurement competition. Denmark has joined the Joint Strike Fighter program as a Level 3 partner, and the Royal Danish Air Force is considering the replacement of 48 of its aging F-16 fighters with F-35As. Denmark's MPs were not expected to vote on a purchase of the F-35A before 2014, and were considering alternatives such as the JAS 39 Gripen NG and the F/A-18E/F Super Hornet, while the consortium behind the Eurofighter Typhoon withdrew in 2007. A RDAF F-16BM (ET 210) is stationed at Edwards AFB for flight testing of the F-35. The Danish test pilot Lieutenant Colonel Casper Børge Nielsen is part of the Joint Strike Fighter programme. On 13 March 2013, Denmark restarted their selection process for 30 new fighter aircraft. Candidates include the two-seated F/A-18F Super Hornet, and Eurofighter Typhoon, with the F-35A remaining as a candidate. On 9 June 2016, the Danish defence committee agreed to purchase 27 F-35As to succeed the F-16. The price tag is 3 billion USD. In September 2016, Boeing, the builder of the F/A18E/F Super Hornet, indicated that they would take legal action against the Danish decision to buy the F-35A, indicating that data used was flawed. Norway participates in the F-35 program as a Level 3 partner in the system development and demonstration phase, with a view to enabling its industry to compete for industrial opportunities. Norwegian National Deputy Rune Fagerli, the country's sole representative on the Joint Strike Fighter program, told SPACE.com that the Norwegian Royal Ministry of Defence has pledged $125 million in preparation to replace a fleet of F-16 jets that have about 12 years left of operation. "By getting involved here on the ground level, we can try and address the needs of Norway into this capable fighter early," said Fagerli, a colonel. For example, Norwegian F-16s are fitted with drag chutes because of wet, slippery runways. Likewise, international cooperation to aircraft development could also yield aircraft from cooperating nations that fit well together during combat. Fagerli also mentioned that Norwegian pilots currently fly missions over Afghanistan in F-16s alongside Danish and Dutch aviators. Norway has several times threatened to put their support on hold unless substantial guarantees for an increased industrial share is provided. Despite this Norway has signed all the Memoranda of Understanding, including the latest one detailing the future production phase of the JSF program. They have, however, indicated that they will increase and strengthen their cooperation with both competitors of the JSF, the Typhoon and the Gripen. Norway has delayed a decision on the purchase of four training F-35s until later in 2011. The F-35 was evaluated along with JAS 39 Gripen by the Norwegian Future Combat Aircraft Capability Project as a replacement for the F-16s currently in-service. On 20 November 2008, the government released a statement saying it will support buying F-35s for the Royal Norwegian Air Force instead of the Gripen NG. The government's reasoning for choosing the F-35 over Gripen was that only the US aircraft supposedly fulfilled the operational requirements, and that it was allegedly offered at a more competitive price than the Swedish fighter. This has been strongly criticized by Saab, saying that Norway made errors when calculating the cost for Gripen NG vs the cost for the JSF. The Norwegian Air Force has decided to develop the Joint Strike Missile for the F-35 and other aircraft. In December 2010 leaked United States diplomatic cables revealed that the USA decided to delay a request by Sweden for an AESA radar for the Gripen until after Norway had announced their decision to buy the F-35. The same cables indicated that Norwegian consideration of the Gripen "was just a show" and that Norway had decided to purchase the F-35 as a result of "high-level political pressure" from the US. Following the successful sale of the F-35 to Norway, US officials compiled a "lessons learned" memo that included a list of tactics for future sales to other countries. These included using the active involvement of the local US embassy and its ambassador to market the aircraft, coordinating sales strategies with Lockheed Martin and using diplomatic events to specifically talk about the F-35. These events could include ambassadorial luncheons with national people of influence as invited guests. The documents indicate that US officials were attempting to make the sale "without appearing to bully or attempt to force a decision." In June 2011 the Socialist Left party called for a probe into the rising costs of the jets. Like Canada, Norway also needs to use satellite communications for operations north of the Arctic Circle, a capability not to be delivered with the first batch of aircraft. On 24 November 2011, Norwegian officials estimated the life cycle costs for 52 F-35A to be $40 billion, in a hearing in the House of Commons of Canada. On 14 June 2012, Norway placed an order for its first two aircraft, after receiving a promise of American support for the JSM on the JSF. On 22 September 2015, the first Norwegian F-35A was rolled out in Fort Worth, Texas. The first two examples for Norway are scheduled to be delivered to the Royal Norwegian Air Force later in 2015, and will be based at Luke Air Force Base, Arizona, where they will be used for Norwegian and partner country pilot training. On 12 July 2002, Turkey became the seventh international partner in the JSF Project, joining the United Kingdom, Italy, the Netherlands, Canada, Denmark and Norway. On 25 January 2007, Turkey signed a memorandum of understanding (MoU) for involvement in F-35 production. The Turkish Air Force is planning to initially order 116 F-35A "CTOL/Air Force versions" at a reported cost of $11 billion. In October 2009, Murad Bayar, head of the Undersecretariat for Defense Industries, has said that Turkey may increase its order to 120 aircraft instead of purchasing Eurofighter Typhoons. The plan is that the F-35 will be produced under license in Turkey by Turkish Aerospace Industries (TAI). TAI is one of the two international suppliers to Northrop Grumman (the other being Terma in Denmark). 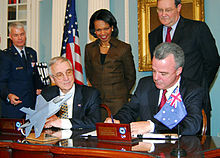 A Letter of Intent (LOI) was signed between TAI and Northrop Grumman ISS (NGISS) International on 6 February 2007. With the LOI, TAI became the second source for the F-35 center fuselage. The number of center fuselages to be produced by TAI will depend on the number of F-35s Turkey procures and the number of F-35s produced worldwide. On 10 December 2007, TAI was authorized by Northrop Grumman to commence fabricating access doors and composite parts for the first two F-35 production aircraft. These components are used in the F-35 center fuselage, a major section of the aircraft being produced by Northrop Grumman, a principal member of the Lockheed Martin-led F-35 global industry team. Northrop Grumman currently produces all F-35 center fuselages at its F-35 assembly facility in Palmdale, California. After 2013, TAI will assemble the F-35 under license from Lockheed Martin Corporation, as was the case with the F-16 program. By January 2011 there were indications that Turkey was reconsidering its participation in the F-35 program and its procurement of the aircraft. Political friction between Turkey and the US resulted in the US refusing to ship or delaying shipments of F-16 parts to Turkey over relations with Israel and Turkish officials are concerned that similar problems will make F-35 production and support of the 100 F-35s it has planned to buy non-viable. Rising costs in the F-35 program are also a factor and Turkey is considering developing its own fighter instead in cooperation with other nations. However Defense Minister Vecdi Gonul, has said that Turkey may buy as many as 116 of the Joint Strike Fighter. Turkey, like other partner nations, has complained about the United States refusal to share the software source code for the F-35. On 24 March 2011 Turkey announced it is placing its order for 100 jets on hold due to the ongoing source code refusal issue. Defense Minister Vecdi Gönül said that the negotiations for access to the F-35 source codes, including codes that can be used to control the aircraft remotely, had not yielded "satisfactory results" and that under these conditions Turkey could not accept the aircraft. In April 2012, Turkey suggested that program costs could be reduced by outsourcing more production to Turkish defense and aerospace companies, which operate with lower labour costs compared to their counterparts in the U.S. and other partner countries of the project. Despite the software dispute, Turkey agreed in principle to order two F-35As in January 2012. However, this decision was postponed during the SSIK meeting in January 2013 due to the technical problems with the aircraft and the uncertainties over the rising costs. Turkey's first F-35s are now due to be delivered in 2017, as opposed to 2015. On 6 May 2014, Turkey approved an initial order for two F-35s after a 15-month delay. They will be manufactured in the Block 3F configuration. Turkey is to take delivery of 10 aircraft per year after they enter service in 2018, with 100 F-35s total on order. The country has invested $195 million in the program since 1999 and total program cost is expected to reach $16 billion. In January 2015 Turkey ordered a further four F-35s, for a total of six. On June 30, 2018, Turkey received its first F-35 at Lockheed Martin facilities in Fort Worth, Texas. The first aircraft, with tail number 18-0001, was to be assigned to Luke Air Force Base for pilot training. On August 29, 2018, a Turkish pilot carried out the first flight with an F-35 as part of training in the U.S.
On June 18, 2018, the U.S. Senate passed a bill blocking the transfer of F-35 fighter jets to Turkey. The prohibition was established due to concerns over Turkey's intent to procure the S-400 air defence system, which would allegedly put the secrets of the F-35 at risk. In August 2018, U.S. President Donald Trump signed the bill, which blocked the transfer of F-35 fighter jets to Turkey. Despite the suspension of deliveries, the F-35 Joint Program Office claimed on August 21, that it would execute the programme according to existing plans. Another bill was passed by the US Senate on August 23, which prohibited any spending related to the transfer of F-35s to Turkey until it was certified that Turkey would not purchase nor accept delivery of the Russian S-400 air defence system. In early April 2019, it was reported that delivery of F-35 jets to Turkey was suspended due to Turkey's decision to continue procuring the S-400 air defence system. In 2003, Israel signed a formal letter of agreement, worth almost $20 million, to join the System Development and Demonstration (SDD) effort for the F-35 as a "security cooperation participant" (SCP). The Israeli Air Force (IAF) stated in 2006 that the F-35 is a key part of IAF's recapitalization plans, and that Israel intended to buy over 100 F-35A fighters at an estimated cost of over $5 billion to replace their F-16s over time. Israel was reinstated as a partner in the development of the F-35 on 31 July 2006, after Israeli participation was put on hold following the Chinese arms deal crisis. Israel will buy 20 initial examples of the F-35A, with a total of 75 fighters desired. In February 2003, Singapore joined the JSF program's System Design and Development (SDD) Phase, as a Security Co-operation Participant (SCP). It was speculated that Singapore could be buying up to 100 F-35s. In late 2013, Singapore said they were in "no particular hurry" to buy the F-35, and that they were focusing on upgrading their F-16s in the near-term.It was speculated that Singapore has specific interest in acquiring the F-35B STOVL variant due to the use of road bases adjacent to airfields, most shorter than 8,000 ft (2,400 m). It was speculated that the F-35B could also prove useful if the Endurance-class ships were converted to Landing Helicopter Docks. In August 2016, the speculation ended with Singapore announcing it has placed on hold any decision to buy up to 12 F-35. In January 2019, Singapore's Minister for Defense Ng Eng Hen announced that Singapore's F-16C/Ds would retire "soon after 2030", and that he was happy to report that the Defence Science and Technology Agency and Republic of Singapore Air Force completed their evaluation and decided on the F-35 to be the most likely aircraft to replace it. The Ministry of Defense announced in a statement that the Republic of Singapore Air Force would first procure an unspecified "small number" of F-35s for full evaluation of their capabilities and sustainability before deciding on a full fleet. In March 2019, Singapore's Minister of Defence Ng Eng Hen announced Singapore would procure 4 F-35 aircraft for further evaluation, with an option to procure an additional 8 under the same contract. Ng Eng Hen added that a letter of request would be submitted to the United States in the near future, but did not clarify which variant of the F-35 was to be requested. In 2009 Belgium suggested that they might buy some F-35s in the 2020s. An article published in Belgian newspaper L'Avenir on 19 April 2015 speculated that if the nuclear strike role as part of Belgium's Nuclear sharing policy were retained in the request for proposals, Belgium would be almost forced to buy the F-35 in order to maintain this role. Belgium officially launched its F-16 replacement program in March 2017, issuing requests for proposals to three European and two US manufacturers: Boeing Defense, Space & Security, Lockheed Martin, Dassault Aviation, Eurofighter GmbH and Saab Group, offering the F/A-18E/F Super Hornet, F-35 Lightning II, Dassault Rafale, Eurofighter Typhoon and Saab JAS 39 Gripen respectively. In April 2017, Boeing announced it would not compete with its F/A-18E/F Super Hornet in the competition, citing it "does not see an opportunity to compete on a truly level playing field", hinting that the program may be biased. In July 2017, Saab, too, announced it decided not to respond to the request citing Swedish foreign policy and political mandate reasons. In October 2017, just after the deadline closed, France's Dassault Aviation responded with a much deeper offer, not only offering 34 Dassault Rafale aircraft, but also invoking broad cooperation in the fields of service, training and operations. The French Ministry of the Armed Forces stated that the offer would also strengthen European defence. The Belgian Ministry of Defence responded by stating that the offer was not submitted correctly and that only two conforming bids were received, for the Eurofighter Typhoon and Lockheed Martin F-35 Lightning II. The Ministry also stated it was seeking legal advice to further investigate the offer, but noted that none of the questions stated in the request for proposals was answered by the French offer. In January 2018, the United States Department of State approved the Foreign Military Sale of 34 F-35As to Belgium for an estimated cost of US$6.53 billion. In June 2018, despite earlier claims by a spokesperson of the Minister of Defence that the F-16 replacement programme was going ahead as planned, the Belgian government decided to delay the decision until October and began reconsidering the option of purchasing Dassault Rafale fighters, as well as upgrading their existing fleet of aircraft. In October 2018, leaked documents from the Belgian Ministry of Defence indicated that the Belgian Air Component leadership had long been making preparations to procure the F-35, after a promise was made to NATO about its procurement in 2013, without informing Belgium's political leaders. According to the leaks, the procurement procedure was modified to give the F-35 an advantage and it was expected to win the competition by a wide margin. On 25 October 2018, Belgium officially selected the offer for 34 F-35As to replace the current fleet of around 54 F-16s. In the accompanied news conference, government officials stated that the decision to select the F-35 over the Eurofighter Typhoon came down to the price, and later stated that "The offer from the Americans was the best in all our seven valuation criteria". The total purchasing price for the aircraft and its support until 2030 totaled €4 billion, €600 million cheaper than the initially budgeted €4.6 billion. First deliveries are scheduled to take place in 2023. Japan's arms export ban has kept it out of the development phase of the F-35 project, which has contributed to the decline of its arms industries so Japan is considering an off the shelf purchase of the F-35 with no national industrial participation. Lockheed Martin has offered final assembly of the Japanese F-35s to Japanese industry, along with "maintenance, repair and upgrade capability". In October 2011 Lockheed upped the amount of workshare to be offered to the Japanese to include manufacture of major components and engine assembly. This is because the United States government has now allowed Lockheed to reveal confidential technologies to Japanese firms. On 20 December 2011 the Japanese Government announced that it intended to purchase 42 F-35s for approximately US$8 billion, with initial delivery to begin in 2016 to replace its existing F-4 Phantom II aircraft. In order to fully participate in the program, the Japanese government is loosening their weapons export ban. May 2012, a notification to Congress, the US Defense Security Cooperation Agency outlined the details of the proposed Foreign Military Sales (FMS) deal, sale of 42 Lockheed Martin F-35A fighter aircraft to Japan at $10 billion. In 2012 it was reported that the F-35s purchased after FY13 would include Japanese parts. In 2013, the Japanese government decided that since Japanese companies would merely function as subcontractors that these parts would be exempt from the usual weapons export ban. In August 2013, it was confirmed that Japanese companies will manufacture 24 components of the F-35 related to the engine and radar. Mitsubishi Electric will manufacture 7 components of the radar, and IHI Corporation will manufacture 17 fan and turbine components of the engine. Mitsubishi Heavy Industries will also be included in some form in the manufacturing of the rear fuselage, wings, and undercarriage, which will allow Japanese industry to gain a greater understanding of low-observability stealth technology and manufacture. While four F-35As ordered in 2012 will be finished products, the two to be ordered in 2013 will have Japanese manufactured components. Technological insights gained from the manufacture of components related to stealth will most certainly be applied to the development of the indigenous Mitsubishi ATD-X. In 2014, Mitsubishi Heavy Industries pressed for a Japanese government subsidy to manufacture F-35 parts for export. The first four aircraft will be assembled in Texas, with the remainder built in Nagoya. In July 2014, Japanese Minister of Defence Itsunori Onodera unveiled plans to replace nearly 100 F-15Js not slated for upgrade with F-35s. In December 2017, Japanese newspaper Yomiuri Shimbun reported that the Japanese government was considering modifying its Izumo-class helicopter destroyers to operate with roughly 10 F-35B aircraft. Multiple plans are reportedly under consideration, some of which call for US Marine Corps F-35s to use the vessels, but others for Japan to procure its own aircraft. The plan quickly raised criticism from China, where government officials reacted negatively and urged Japan to "act cautiously". In February 2018, the Yomiuri Shimbun reported that the Japanese government was also considering a purchase of F-35Bs for the defence of remote islands. Cited sources claim the Japanese government may already be considering a purchase in the 2019 defence budget, which could see the first deliveries in 2024, and operational capability from 2026. In November 2018, Nikkei Asian Review reported that Japan was planning to order an additional 100 F-35 aircraft, including both the F-35A and F-35B variant, the latter not previously procured. The planned procurement of the F-35B is rumored to be associated with the currently researched possibility of deploying fixed-wing aircraft on the Izumo-class helicopter destroyer. The plans were reportedly in response of Chinese military build-up in the region. In December 2018, the Japanese government approved the plan to procure an additional 105 F-35 aircraft, reportedly 63 of these are to be F-35A aircraft, and 42 F-35B aircraft. The plan increases Japan's total F-35 aircraft ordered to 147. To save money, these additional aircraft will not be assembled in Japan. South Korea started considering the F-35 in 2009, among several other competitors, for its F-X Phase III fighter program. South Korean officials had indicated that the F-35 would only be available for delivery after 2018, but Steve O'Bryan, Lockheed's vice president for F-35 business development, said at that time that Lockheed could deliver the F-35 to South Korea by 2016. Some Republic of Korea Air Force (ROKAF) officers have outlined possible missions for the stealth fighter, such as surprise raids deep into nuclear armed North Korea. Lockheed has refused to allow ROKAF pilots access to the aircraft to test it prior to the selection, however simulations available to South Korea are more extensive than the processes used by other customers, such as Israel and Japan. In August 2013, the F-35 was essentially eliminated from the competition when the American foreign military sales process prevented Lockheed Martin from offering a price that did not exceed South Korea's budget for the program, leaving just the Boeing F-15SE Silent Eagle within the nation's budget. Lockheed Martin responded that it would work with the American government to continue to offer the F-35 to South Korea. The defense ministry rejected the award and said a new competition would be held to "secure military capability in line with recent aviation technology developments." In November 2013, the Korean Joint Chiefs of Staff Council recommended purchasing 40 F-35A as North Korea seemed to have difficulty dealing with radar-evading aircraft. On 27 January 2014, the Defense Acquisition Program Administration said that a contract for the 40 aircraft would be reviewed and, once approved, signed in September. With deliveries planned to begin in 2018, South Korea would benefit from the scale of F-35 production at the time. With full-scale production having begun, the Unit Recurring Flyaway (URF) cost of one F-35A is expected to be $80–$85 million, which includes the aircraft, avionics and mission systems, the engine, logistics support, and a flight simulator. Through the Foreign Military Sales (FMS) agreement and past budget issues, the cost projection may be likely to rise. South Korea's formal selection of the F-35 purchase was finalized on 24 September 2014. South Korea is the third FMS country to procure the F-35A after Israel and Japan. In December 2017, Korean media reported that the Defense Acquisition Program Administration had established a process for acquiring an additional 20 F-35 aircraft, in addition to the 40 it had already ordered in 2014. Korean news agency Yonhap also reported later in December 2017 that the Korean military was considering operating F-35B aircraft from Dokdo-class amphibious assault ships operated by the Korean Navy. The first F-35A was delivered in Fort Worth, Texas on 28 March 2018. The aircraft will remain in the US as South Korean crews will begin training with the aircraft at Luke Air Force Base. The arrival of the first F-35s in South Korea occurred in March 2019, when two F-35As were delivered to a base in Cheongju. The Finnish Air Force has expressed its interest in the F-35, and other "advanced aircraft", as the replacement for its F-18C Hornets. Major General Lauri Puranen said in June 2015, "These five fighters are Eurofighter, French Dassault Rafale, American Boeing Super Hornet or Lockheed Martin JSF F-35, and Swedish JAS Gripen. All of these are possible and we don’t have a favorite." The selection process is expected to begin in 2017-18 with a decision by 2021. On 27 April 2018, the Finnish Defence Forces issued a Request for Quotation for the HX programme. The request asked quotations on the Boeing F/A-18 Super Hornet, Dassault Rafale, Eurofighter Typhoon, Lockheed Martin F-35 and Saab Gripen. The final quotations are to be requested in 2020 and a decision would be made in 2021. Their existing fleet of Hornets would begin to be phased out in 2025. The programme also includes an obligation for at least 30 percent domestic industrial participation. Lockheed Martin offered the F-35 to Greece's Hellenic Air Force as a replacement for F-4E Peace Icarus 2000 and F-16C/D Block 30 aircraft in 2009. As of October 2017, largely due to the Greek government-debt crisis, Greece has decided to upgrade the Hellenic Air Force's fleet of ageing General Dynamics F-16 Fighting Falcon aircraft, and to postpone a decision on further procurement until the 2020s. The F-35 was reportedly still on the table, and if economically viable by the 2020 timeframe, plans call for a purchase of 15 to 20 aircraft. In April 2019, U.S. Vice Admiral and head of the Pentagon's F-35 office Mathias Winter submitted a written testimony to the U.S. House of Representatives in which Greece was identified as a "future potential Foreign Military Sales customer". Later the same day, Greek defense minister Evangelos Apostolakis stated that Greece would consider the possibility of acquiring the F-35 as part of its efforts to upgrade the Hellenic Air Force fleet. In January 2018, sources in the Indian Ministry of Defence were reportedly considering the possibility of an order for the F-35, and a request for information should follow at an unknown later date. In February 2018, it was reported that the Indian Air Force was interested in the procurement of 126 F-35As, and that a classified briefing by Lockheed Martin had been requested. Any deal would have to include partial local manufacturing facilities as per Indian legislation as part of the Make in India initiative. In March 2018, Indian Air Force Chief of the Air Staff Birender Singh Dhanoa stated that no request was made for the F-35, nor for a classified briefing. Soon after, however, US Navy Admiral and United States Pacific Command commander Harry B. Harris Jr. came out in support of a potential F-35 sale to India, stating that the US Pacific Command supports a series of potential sales, including the F-35. A meeting between US and Indian foreign and defense chiefs is scheduled for April 2018, and the topic may be discussed. On 6 February 2014, the Polish Ministry of National Defence set out a budget in which its interests include buying 64 fifth-generation multi-role fighters that will not include the previous F-16 Fighting Falcon deals. Possible options are reportedly 64 F-35 fighters from 2021 to replace the MiG-29s operated by the Polish Air Force. In June 2017, the Polish Deputy Defence Minister announced plans to acquire fifth-generation combat aircraft by around 2025 under a new project named "Harpia", which aims to replace Poland's ageing fleet of Sukhoi Su-22 and Mikoyan MiG-29 aircraft. Officials have stated this may mean a purchase of two squadrons of F-35 aircraft, totaling 32 aircraft, but that Poland is also looking into used US Air Force F-16s. In February 2019, Poland's Minister of Defence Mariusz Błaszczak announced the signing of a military modernization plan, which includes the procurement of 32 fifth-generation aircraft as a priority procurement. The minister added he expected senior military staff to initiate action on this task immediately. In April 2019, U.S. Vice Admiral and head of the Pentagon's F-35 office Mathias Winter submitted a written testimony to the U.S. House of Representatives in which Poland was identified as a "future potential Foreign Military Sales customer". Later that day Poland's Minister of Defence Błaszczak stated that "Since the US side talks about it publicly, it means the purchase can be accelerated", adding "I am happy with this information. It is not a surprise, because we have already started negotiations. I have prepared the legal and financial basis to acquire at least 32 fifth-generation combat aircraft". The Romanian Ministry of Defence has expressed interest in buying the F-35 for its air force sometime after 2020. In October 2017, Romania's Minister of National Defence stated that Romania was targeting one squadron of F-35 aircraft as part of a 10-year program spanning 2017 to 2026. In April 2019, U.S. Vice Admiral and head of the Pentagon's F-35 office Mathias Winter submitted a written testimony to the U.S. House of Representatives in which Romania was identified as a "future potential Foreign Military Sales customer". In March 2012, The Saudi Ministry of Defense was said to be keeping all options open for future fighter jet purchases, including notably the Boeing F-15SE Silent Eagle and the Lockheed Martin F-35. In November 2017, Saudi Arabia again expressed interest in the F-35, following a similar expression from the United Arab Emirates a few days prior. The Spanish Navy aircraft carrier Juan Carlos I is adapted to carry JSF and AV-8B Harrier. JSF Program Executive Officer, Air Force Major General Charles Davis, said in 2008 that discussions had been held with Spain, which could eventually lead to the F-35B replacing the Spanish Navy's EAV-8B Harrier fleet. In 2014 Spain decided to extend the lifespan of the Harriers to beyond 2025 as funding was not available to replace the type. In 2017 it was reported that the Spanish Air Force and Navy had a preference for the F-35 as a replacement for the Harrier and Hornet fighters. The decision needed to be reached by 2018 at the latest. It was expected to be one of the priorities of the Armed Forces Capacity Objective. In April 2019, U.S. Vice Admiral and head of the Pentagon's F-35 office Mathias Winter submitted a written testimony to the U.S. House of Representatives in which XXXXX was identified as a "future potential Foreign Military Sales customer". The Swiss Air Force is currently in the process of seeking a replacement for its current fleet of Northrop F-5 and McDonnell Douglas F/A-18 Hornet aircraft, which were scheduled to be replaced by the Saab Gripen, but this was blocked by Swiss voters in 2014. In response the Swiss government launched the Air 2030 program, seeking again to find a replacement aircraft. In March 2017, Lockheed Martin was reportedly in talks with the government of Switzerland concerning a potential sale for the F-35 for use by the Swiss Air Force. A team of four F-35s is due to perform demonstrations for Swiss personnel at Payerne Air Base in June 2019. The aircraft will be evaluated in a series of eight flights, which will be contrasted to flights performed by other bidders. The United Arab Emirates requested information about a possible sale of F-35s in 2010, however the United States delayed responding for months. The United States continued to decline requests by Gulf States including the United Arab Emirates until as late as 2015. In early November 2017, the Trump administration agreed to consider the continued request by the United Arab Emirates for preliminary talks concerning potential sale of the F-35. Vice Chief of Staff of the United States Air Force Stephen W. Wilson confirmed on 11 November that preliminary talks were taking place with regional partner nations, later adding that included the United Arab Emirates. The potential sale of the F-35 to the United Arab Emirates raised concerns about maintaining Israel's Qualitative Military Edge, a policy also enshrined in U.S. law. Additional skepticism was raised by senior US Air Force and Central Command personnel concerning the United Arab Emirates Air Force's plan to also jointly develop and procure a fifth-generation combat aircraft with Russia. German officials first met with Lockheed Martin officials in June 2017, during the Paris Air Show after having issued a request for a confidential meeting to discuss the F-35 as a potential Panavia Tornado replacement a month before. After it became clear that the F-35 was a serious candidate by September 2017, the German Federal Ministry of Defence sent a letter to Boeing, requesting a similar classified meeting on the McDonnell Douglas F-15 Eagle and Boeing F/A-18E/F Super Hornet, as well as Airbus for additional information on the Eurofighter Typhoon, an aircraft the German Air Force already operates. In November 2017, the German Air Force had come up with a shortlist for the types of aircraft most fit to replace its Panavia Tornado fleet. The F-35 was considered the preferred choice as it fulfilled most of the requirements and offered a number of additional benefits beside. Soon after, however, mixed signals started arriving from the German Air Force, Federal Ministry of Defence and the Parliament, with some officials distancing themselves from the choices made in shortlisting the F-35, and touting the Eurofighter Typhoon as the preferred alternative. In March 2018, Lieutenant general of the German Air Force Karl Müllner [de] was dismissed from service after stating his preference for the F-35. Although the official reason was a reorganization in the German Air Force's structure, it is widely speculated that the dismissal is part of an effort to steer the German Air Force away from the F-35. It was speculated that Germany's choice was limited to the F-35 because of its need to fulfill a credible nuclear strike capability as per the NATO nuclear sharing agreement. The Eurofighter Typhoon is not currently able to fulfill this role, and its ability to penetrate potentially hostile Russian airspace in the event of a nuclear escalation is considered weaker than that of the F-35. However in January 2019 the F-35 was eliminated from the competition, leaving only the Typhoon and the Super Hornet as candidates. Taiwan has requested to buy the F-35 from the US. However this has been rejected by the US in fear of a critical response from China. In March 2009 Taiwan again was looking to buy U.S. fifth-generation fighter jets featuring stealth and vertical takeoff capabilities. However, in September 2011, during a visit to the US, the Deputy Minister of National Defense of Taiwan confirmed that while the country was busy upgrading its current F-16s it was still also looking to procure a next-generation aircraft such as the F-35. This received the usual critical response from China. Taiwan renewed its push for an F-35 purchase under the Presidency of Donald Trump in early 2017, again causing criticism from China. In March 2018, Taiwan once again reiterated its interest in the F-35 in light of an anticipated round of arms procurement from the United States. The F-35B STOVL variant is reportedly the political favorite as it would allow the Republic of China Air Force to continue operations after its limited number of runways were to be bombed in an escalation with the People's Republic of China. Following this renewed interest, senior U.S. senators publicly called for the sale of the F-35 to Taiwan as it would "retain a democracy in the face of threats from China". In April 2018 however it became clear that the U.S. government was reluctant about selling the F-35 to Taiwan over worries of Chinese spies within the Taiwanese military, possibly compromising classified data concerning the aircraft and granting Chinese military officials access. In November 2018, it was reported that Taiwanese military leadership had abandoned the procurement of the F-35 in favor of a larger number of F-16V Viper aircraft. The decision was reportedly motivated by concerns about industry independence, as well as cost and previously raised espionage concerns. (excl. engine) Cost of the batch rose from initial 771 million to 1.15 billion. (excl. engine) According to Pentagon, estimated engine costs are: F-35A – $16M, F-35B – $38M. Batch includes 1 F-35A for the Netherlands and 2 F-35B for the UK. (excl. engine) First batch with a fixed price. Total batch price – $3.4 billion. Batch includes 1 F-35A for the Netherlands and 1 F-35B for the UK. (excl. engine) Total batch price – $4.4 billion. Batch includes 2 F-35A for Australia and 3 F-35A for Italy. (excl. engine) Total batch price – $11.45 billion. Batch includes 3 F-35A for Italy, 2 F-35A for Norway and 1 F-35B for the UK. (excl. engine) Total batch price – $4.6 billion for order of 43 units. Batch includes 2 F-35A for Israel, 2 F-35A for Italy, 4 F-35A for Japan, 2 F-35A for Norway and 4 F-35B for the UK. (includes engine) Total batch price is $5.37 billion. Batch includes 6 F-35A for Norway, 7 F-35A for Israel, 2 F-35A for Japan and 6 F-35B for the UK. F-35C: $107.7 Batch includes 48 F-35A for USAF, 18 F-35B for USMC, 8 F-35C for USN/USMC, 8 F-35A for Netherlands, 6 F-35A for Norway, 4 F-35A for Turkey, 8 F-35A for Australia, 1 F-35A for Italy, 1 F-35B for United Kingdom, 22 F-35A for FMS customers. 2018 (planned) FRP-1 107 (planned) N/A First full rate production batch. (target price incl. engine) Costs are estimated as of 2012. Initial production orders to date. USAF A 2 27 July 2007 The only Lot I order. USAF A 6 22 May 2008 Lot II. USAF A 7 3 June 2009 Lot III. Australia A 14 inc two Lot VI, Lot number not known, these were initially to be British production aircraft. Israel I 20 October 2010 Planned delivery between 2015–2017. Possibly delayed to 2018. UK B 1 19 July 2012 Fourth test/example aircraft for the UK. Also announced the intention of an initial purchase of 48 operational F-35B (for the Royal Navy). How many aircraft each customer is planning to buy eventually. ^ The lifetime cost per F-35 unit involved the simple calculation of a US dollar at the euro exchange rate of 1 Euro=1.25 dollar. ^ A simple calculation shows that the Dutch government thus expects a maximum investment of 5500/85=65 Million Euro to bring an F-35 into service. ^ "F-35 Joint Strike Fighter (JSF) Lightning II – International Partners." GlobalSecurity.org. Retrieved: 7 April 2010. ^ Merle, Renae. "GAO Questions Cost Of Joint Strike Fighter." Washington Post, 15 March 2005. Retrieved: 15 July 2007. ^ a b 41st PARLIAMENT, 1st SESSION Standing Committee on National Defence Parliament of Canada, 24 November 2011. Accessed: 15 December 2011. ^ "JSF Global Partners." Archived 4 October 2007 at the Wayback Machine teamjsf.com. Retrieved: 30 March 2007. ^ "US, UK sign JAST agreement." Aerospace Daily New York: McGraw-Hill, 25 November 1995, p. 451. ^ Schnasi, Katherine V. "Joint Strike Fighter Acquisition: Observations on the Supplier Base." US Accounts Office. Retrieved: 8 February 2006. ^ a b "UK concern over future of US F-35 fighter jets. ", 5 January 2012, Agence France-Presse. Accessed 3 April 2012. ^ a b "US military cuts worry Norway. ", 11 January 2012, Views and News from Norway. Accessed 3 April 2012. ^ a b Reinout van Wagtendonk, "Dutch defence minister in Texas to discuss Joint Strike Fighter." Archived 15 January 2012 at the Wayback Machine, 11 January 2012, Radio Netherlands. Accessed 3 April 2012. ^ a b Jesmain, Andrew. "Report on U.S. Competitiveness in the Fighter Aircraft Export Market." Center for Strategic and International Studies, 2009. Retrieved: 23 November 2009. ^ Kathryn Carlson, "Fighter jets to cost more than $100 million each — US budget Watchdog" National Post, 30 March 2011. ^ Shalal-Esa, Andrea. "Pentagon F-35 chief blasts Boeing comments." Reuters, 15 June 2009. ^ a b Campion-Smith, Bruce (December 2010). "Washington used aggressive sales pitch to sell F-35 fighter, memos reveal". The Record. Retrieved 14 December 2010. ^ Neild, Barry. "Obama's F-35 sales push." Global Post, 24 February 2011. ^ Hoyle, Craig. "European firms urged to 'get on with it' on UAS collaboration." Flight Global, 22 April 2011. ^ Lanai Vasek, "F-35 Joint Strike Fighter delays could force Australia to revert to Super Hornet. ", 6 January 2012, The Australian. Accessed 3 April 2012. ^ Shalal-Esa, Andrea. "Support cited for F-35 fighter after joint meeting. "[permanent dead link] Reuters. 2 March 2012. ^ Pugliese, David (6 March 2014). "F-35 'irrelevant' without accompanying stealth jet, says U.S. general". o.canada.com. POSTMEDIA NEWS. Archived from the original on 7 March 2014. Retrieved 6 March 2014. ^ "Pentagon's F-35 Fighter Under Fire in Congress." pbs.org. Retrieved: 28 September 2010. ^ Clark, Colin (September 2010). "SAC Hammers Gates on JSF". DoD Buzz. Retrieved 29 March 2011. ^ Pew, Glenn (January 2011). "Pentagon May Cancel STOVL Version Of F-35". AvWeb. Retrieved 10 January 2011. ^ Cifuentes, Sgt Michael S. (14 March 2011). "Marine Corps continues flying with Joint Strike Fighter program". Headquarters Marine Corps. United States Marine Corps. Archived from the original on 25 March 2011. Retrieved 23 March 2011. ^ Williams, Alan (March 2011). "Let's be honest about the price tag on those planes". Ottawa Citizen. Archived from the original on 25 March 2011. Retrieved 23 March 2011. ^ Tierney, Dominic (March 2011). "The F-35: A Weapon That Costs More Than Australia". The Atlantic. Retrieved 29 March 2011. ^ Fitzpatrick, Meagan (April 2011). "Ottawa's F-35 jet cost figures way off: U.S. analyst". Canadian Broadcasting Corporation. Retrieved 14 April 2011. ^ Weisgerber, Marcus. "DoD wants to see more savings in next JSF order." AirForce Times, 12 April 2011. ^ DiMascio, Jen. Ask For JSF Alternatives "Senators Ask For JSF Alternatives." Aviation Week, 20 May 2011. ^ Pincus, Walter. "Senate panel questions Pentagon on F-35 costs." Washington Post, 19 May 2011. ^ Gienger, Viola. "Gates Says Military Troop Cuts May Protect F-35, Submarine." Bloomberg News, 24 May 2011. ^ Sweetman, Bill. "Air Force F-35 Production Rate In Doubt." Aviation Week, 14 September 2012. ^ Defense Secretary Leon Panetta, "Letter to defense senators." Archived 12 December 2012 at the Wayback Machine Department of Defense, 14 November 2012. ^ "Dempsey Warns of Sequestration's Potential Impact - Fort Stewart, GA …". patch.com. 31 January 2013. Archived from the original on 31 January 2013. Retrieved 8 July 2018. ^ Shalal, Andrea (3 March 2014). "US Navy to order 33 fewer F-35s than planned in next 5 yrs -source". Reuters. Retrieved 4 March 2014. ^ Osborn, Kris (22 April 2015). "Navy Leans Toward Building More Super Hornets After F-35C Delays". Military.com News. Retrieved 15 April 2015. ^ "MPs warn over US fighter jet deal." BBC News Online, BBC, 8 December 2006. Retrieved: 10 January 2008. ^ "F-35B Joint Strike Fighter (JSF)." GlobalSecurity.org. ^ Spiegel, Peter. "UK denied waiver on US arms technology." Financial Times, 22 November 2005. Retrieved: 11 October 2006. ^ Fidler, Steven. "Bush gives way over stealth fighter." Financial Times, 26 March 2006. Retrieved: 27 May 2006. ^ "Update 2 – UK signs memo with US on Joint Strike Fighter." Reuters, 12 December 2006. Retrieved: 13 December 2006. ^ "MoD confirms £3.8bn carrier order." BBC News Online, 25 July 2007. ^ Hedgpeth, Dana. "Security of F-35 Jet Secrets Questioned." The Washington Post, 2 May 2008. Retrieved: 18 March 2010. ^ "News by Date." RAF. Retrieved: 23 November 2009. ^ Hoyle, Craig. "UK signs for first three F-35B Joint Strike Fighters." Flightglobal.com, 31 March 2008. Retrieved: 23 November 2009. ^ "United Kingdom Announces Approval of Third F-35B Joint Strike Fighter Purchase." prnewswire.com. Retrieved: 18 March 2010. ^ Combat Aircraft Monthly, April 2010, p. 8. ^ "Britain rethinks jump jet order." UPI.com, 12 August 2009. Retrieved: 23 November 2009. ^ Jones, Rhys. "Britain won't decide on F-35 fighter numbers till 2015." Reuters, 7 February 2012. ^ Kirkup, James (October 2010). "RAF cuts 'could make Britain's air space vulnerable to attack'". London Telegraph. Retrieved 16 October 2010. ^ Hoyle, Craig. "Cameron: UK to swap JSFs to carrier variant, axe Harrier and Nimrod". Flightglobal.com, 19 October 2010. ^ "Britain voices concern over future of F-35 in US." AFP, 5 January 2012. ^ a b Hewson, Robert. "UK slashes F-35B numbers but might look to split buy with F-35As." IHS Janes, 27 July 2012. ^ a b Trimble, Stephen. "Italy alters role in F-35 programme." Flight International, 18 October 2008. ^ "Parliament Act on JSF Program." documenti.camera.it. Retrieved: 29 March 2010. ^ Dsouza, Larkins. "Israel eyes new Lockheed F-35 fighter." Defence Aviation, 5 June 2008. Retrieved: 27 March 2009. ^ Bolognese, Claudia. "Lockheed Martin and Alenia Aeronautica sign contract for initial production of F-35 wings." alenia-aeronautica.it. Retrieved: 29 March 2010. ^ "Programma F-35 Lightning II-JSF." Archived 22 August 2010 at the Wayback Machine Portale dell'Areonautica. Retrieved: 5 January 2010. ^ a b "Italian tankers could support first F-35 transatlantic crossing". Flightglobal.com. Retrieved 24 September 2015. ^ "DIFESA: CROSETTO, STIAMO RIPENSANDO PROGRAMMA CACCIABOMBARDIERE F35." Archived 30 November 2010 at the Wayback Machine ASCA, 24 November 2010. ^ "Italy To Cut Back On F-35 Jet And Navy Frigate Orders - Report." Dow Jones. 10 February 2012. ^ "UPDATE 1-Italy cuts spending on F-35 fighter plane". Reuters. 14 February 2012. Retrieved 14 February 2012. ^ Vasarri, Chiara (15 February 2012). "Italy to Cut F-35 Fighter Jet Orders as Part of Defense Revamp". Bloomberg Business Week. Retrieved 14 February 2012. ^ "Italy government coalition averts split over F-35 jet purchase". Reuters. 26 June 2013. Retrieved 12 June 2015. ^ "Italy's F-35 stealth fighter purchase review signals more cuts ahead". theaviationist.com. Retrieved 12 June 2015. ^ "Italian senate rejects motion to block F-35 jet purchase". Reuters. 16 July 2013. Retrieved 12 June 2015. ^ "Italy says won't buy more F-35 fighter jets, may cut existing order". Reuters. Rome. 6 July 2018. Archived from the original on 6 July 2018. Retrieved 10 November 2018. ^ Kington, Tom (24 October 2018). "Italy plans to slash half a billion dollars from defense in 2019". Defense News. Rome. Archived from the original on 28 October 2018. Retrieved 10 November 2018. ^ Kington, Tom (9 November 2018). "Italy signals slowdown on F-35 orders". Defense News. Rome. Archived from the original on 10 November 2018. Retrieved 10 November 2018. ^ Kington, Tom (20 December 2018). "Italian government praise for F-35 shows early doubts waning". Defense News. Rome. Archived from the original on 22 December 2018. Retrieved 22 December 2018. ^ Warwick, Graham. "Netherlands decides to join JSF evaluation team." Flightglobal.com, 12 March 2008. ^ Boeder, Johan. "F-35 JSF Hit by Serious Design Problems." Defenseindustrydaily.com, 3 December 2007. Retrieved: 23 November 2009. ^ "JSF pakt duurder uit dan gepland." nu.nl, 29 February 2008 via "JSF is more expensive than expected" (English translation)." google.com. Retrieved: 3 July 2010. ^ "Kamer misleid over JSF orders." reporter.kro.nl. Retrieved: 23 November 2009. ^ Cox, Bob. "Dutch parliament wants out of F-35. "[dead link] star-telegram.com. Retrieved: 26 July 2010. ^ Mackenzie, Christina. "Dutch Vote to Cancel Order for F-35 JSF." aviationweek.com. Retrieved: 3 July 2010. ^ "Defence Ministry plans to scrap jobs, not JSF." RNW, 7 April 2011. ^ "The Netherlands to buy second test Joint Strike Fighter jet." Archived 23 April 2011 at the Wayback Machine DutchNews.nl, 21 April 2011. ^ "Joint Strike Fighter jet order rises 20% in price - to €7.6bn." DutchNews, 3 December 2010. ^ "F-35 price increase dismays Dutch defence minister." Defpro, 10 December 2010. ^ a b c "Kabinet koopt tweede testtoestel van JSF" [Cabinet buys second JSF test aircraft] (in Dutch). NU.nl. 8 April 2011. Retrieved 10 August 2011. ^ a b "Tweede test-JSF kost maximaal 90 miljoen" [Second test-JSF to cost up to 90 million] (in Dutch). NU.nl. 20 May 2011. Retrieved 10 August 2011. ^ "Dutch to buy fewer F-35 jets than planned - minister." Reuters. 15 April 2012. ^ "F-35 aircraft in storage." Government of the Netherlands, 10 April 2013. ^ a b c Anthony Deutsch and Andrea Shalal-Esa. "Dutch to purchase 37 F-35 fighter planes" Reuters, 17 September 2013. Accessed: 17 September 2013. ^ "Disarmament by F-35?" 6 September 2013. ^ "Kabinet besluit definitief tot aanschaf 37 JSF-straaljagers - Prinsjesdag - VK". Volkskrant.nl. 17 August 2013. Retrieved 19 September 2013. ^ "Ruimer budget aanschaf F-35". De Telegraaf (in Dutch). The Hague. 18 September 2018. Archived from the original on 18 September 2018. Retrieved 19 September 2018. ^ "Nederland wil extra F-35 straaljagers". De Telegraaf (in Dutch). The Hague. 14 December 2018. Archived from the original on 18 December 2018. Retrieved 18 December 2018. ^ a b Walters, Patrick. "Kevin Rudd signs off on purchase of 14 F-35 joint strike fighters." The Australian, 25 November 2009. Retrieved: 16 December 2009. ^ a b c Wilson, Stewart. "F-35 Lightning II: Future RAAF?" Archived 6 July 2011 at the Wayback Machine. Aero Australia, Sydney: Chevron Publishing Group, Issue 20, 2008, p. 30. ISSN 1448-8086. ^ Borgu, 2004, p. 1. ^ "Joint Strike Fighter Problems - Lockheed Martin". The Sydney Morning Herald. Retrieved 12 June 2015. ^ James Fallows. "Uncle Sam Buys an Airplane". The Atlantic. Retrieved 22 October 2015. ^ "RAAF ignored Joint Strike Fighter advice." David Wroe, The Examiner, 13 March 2013. ^ a b Wilson, Stewart. "F-35 Lightning II: Future RAAF?". Aero Australia, Sydney: Chevron Publishing Group, Issue 20, 2008, p. 33. ISSN 1448-8086. ^ Carder, Phillip. "Boeing F/A-18F Super Hornet for Australia Takes Flight." Boeing, 21 July 2009. ^ Waldron, Greg. "Australia's first F/A-18F squadron declared operational." Flight International, 9 December 2010. ^ Wilson, Stewart. "F-35 Lightning II: Future RAAF?." Aero Australia, Sydney: Chevron Publishing Group, Issue 20, 2008, p. 34. ISSN 1448-8086. ^ "Beazley calls for caution on fighter jets purchase." ABC News, 27 June 2006. Retrieved: 10 November 2008. ^ "New plane flaws compromise defence: Labor." ABC News, 24 June 2006. Retrieved: 10 November 2008. ^ "Australian minister says he wants option to buy US F-22 Raptor." International Herald Tribune, 23 February 2008. Retrieved: 9 November 2008. ^ Walters, Patrick. "Joint strike fighter RAAF's choice." The Australian, 28 April 2008. Retrieved: 9 November 2008. ^ Mares, Peter. "Warring over aircraft." The National Interest, ABC Radio National, 4 March 2007. Retrieved: 10 November 2008. ^ Walters, Patrick. "Jetfighter F-35 JSF backed for RAAF, despite blowouts." The Australian, 13 May 2008. Retrieved: 10 November 2008. ^ "Govt should be defending Joint Strike Fighters: Opposition." ABC News, 24 September 2008. Retrieved: 10 November 2008. ^ Tim Lester (20 February 2013). "Defence chiefs 'obsessed' with troubled fighter jet: Fitzgibbon". The Border Mail. Retrieved 12 June 2015. ^ Walters, Patrick. "Budget pressure delays landing of new fighter." The Australian, 21 August 2009. Retrieved: 2 March 2010. ^ Dodd, Mark. "Air Marshall Mark Binskin wants more fighters." The Australian, 11 September 2009. Retrieved: 2 March 2010. ^ Lane, Sabra (3 May 2012). "Defence projects scrapped to save billions". ABC News. Retrieved 3 May 2012. ^ Nicholson, Brendan (4 May 2012). "$4bn stripped from Defence". The Australia. Retrieved 8 May 2012. The opposition ridiculed Julia Gillard's move to find savings through deferrals of spending, including a two-year postponement of the purchase of new Joint Strike Fighters, as a fresh attempt to "cook the books" and a "death gurgle from a dying government" that was feigning economic responsibility while retaining an addiction to spending. The Prime Minister and Defence Minister Stephen Smith confirmed they would delay the purchase of 12 multi-role Joint Strike Fighters for the RAAF by two years, which would save $1.6bn in the short term. ^ "Australia pushes back F-35 buy, citing costs and US delay". Australian Aviation Magazine. 3 May 2012. Retrieved 8 May 2012. The RAAF has so far ordered two F-35As, which are under production and are scheduled to be delivered to a US-based test and development site in 2014. Australia had been scheduled to move next financial year on plans to purchase a further 12 F-35As under phase 2A of Project Air 6000, and a further 58 F-35s under Phase 2B, but that decision will now be made in 2014-15, Smith said. ^ Ellery, David. "Air force chief wants major military spend." SMH, 6 June 2012. ^ Joint Standing Committee on Foreign Affairs Defence and Trade (2004) Australia's Maritime Strategy Archived 29 June 2011 at the Wayback Machine. Page 95. ^ Borgu, Aldo (2004). "Capability of First Resort? Australia's Future Amphibious Requirement". Australian Strategic Policy Institute. Archived from the original on 6 July 2011. Retrieved 23 February 2011. ^ Butterly, Nick (17 May 2014). "Jump jets on Defence radar". au.news.yahoo.com. The West Australian. Retrieved 17 May 2014. ^ "White Paper to consider F-35Bs for LHDs – report". australianaviation.com.au. The Australian. 23 May 2014. Retrieved 24 May 2014. ^ Kerin, John (7 July 2015). "PM's floating fighter jet plan quietly sunk by Defence". Australian Financial Review. Retrieved 7 July 2015. ^ Thomson, Mark (28 April 2014). "The JSF and the issue of 'new money'". www.aspistrategist.org.au. The Australian Strategic Policy Institute. Retrieved 27 April 2014. ^ Perrett, Bradley (12 May 2015). "Security Needs Drive Australian F-35 Base Program". Aviation Week & Space Technology. Archived from the original on 13 May 2015. Retrieved 13 May 2015. ^ Williams, Alan S. Reinventing Canadian Defence Procurement: A View From the Inside. Kingston, Ontario, Canada: Breakout Education Network, Queen's University, 2006. ISBN 0-9781693-0-1. ^ The Canadian Press (March 2011). "Shots traded with military over stealth-fighter costs". CTV News. Retrieved 23 March 2011. ^ Galloway, Gloria, et alName (March 2011). "Election looms as opposition stacks deck against Harper Tories". The Globe and Mail. Toronto. Retrieved 14 March 2011. ^ "Report: Ottawa set to spend $9B on new U.S. fighter jets from single source." The Guardian, 8 June 2010. Retrieved: 3 July 2010. ^ Leblanc, Daniel. "Harper bending to U.S. on sole-source fighter purchase, documents reveal." The Globe and Mail, 11 June 2010. Retrieved: 3 July 2010. ^ "Liberals take aim at fighter jet contract." CBC, 15 July 2010. Retrieved: 15 July 2010. ^ "Justin Trudeau pledges 'real change' as Liberals leap ahead to majority government". cbc.ca. 20 October 2015. Retrieved 20 October 2015. ^ Liberal Party of Canada (5 October 2015). "A New Plan For a Strong Middle Class" (PDF). Retrieved 5 October 2015. ^ Greg Quinn, Bloomberg News (22 December 2015). "Defence minister backs off Liberals campaign promise of refusing to buy 'expensive' F-35 jets - National Post". National Post. Retrieved 10 January 2016. ^ "Denmark F-35 Fighter Jet Decision Postponed." defencetalk.com via Copenhagen Post online, 29 April 2009. Retrieved: 15 March 2010. ^ Skautrup, Peter. "Forsvaret dumper kampflyet Joint Strike Fighter." (Danish) dr.dk, 15 March 2010. Retrieved: 15 March 2010. ^ Aggernæs, Laura (13 December 2010). "Dansk F-16 fulgte testfly på vej" [Danish F-16 escorts test aircraft]. Royal Danish Air Force (in Danish). Royal Danish Air Force. Archived from the original on 21 September 2013. Retrieved 22 August 2013. ^ "Denmark Relaunches Fighter Jet Competition". Defense News. Retrieved 24 September 2015. ^ "Denmark F-35 Buy Goes Official". Defense News. 9 June 2016. Archived from the original on 3 May 2017. ^ "Danish Government OKs $3 Billion Purchase Of 27 F-35 Fighter Jets". Lockheed Martin. 9 June 2016. ^ "A cautionary tale for Canada? Boeing preps legal challenge after Denmark rejects Super Hornet for F-35". nationalpost.com. Retrieved 17 September 2016. ^ Lunde, Endre and DID. "F-35 Lightning II Faces Continued Dogfights in Norway." Defense Industry Daily, 10 December 2008. Retrieved: 2 March 2010. ^ Meyer, Carl. "Countries look to delay F-35 purchases amid cost fears." Archived 15 April 2011 at the Wayback Machine Embassy Magazine, 30 March 2011. ^ "The Government moves the combat aircraft acquisition into the next stage – Maintains three candidates." Norway Ministry of Defence, 15 December 2006. Retrieved: 23 November 2009. ^ Eriksen, Giæver and Kåre Helland-Olsen. "The Joint Strike Fighter recommended to replace the F-16." Norwegian Prime Minister's Office, 20 November 2008. Retrieved: 21 November 2008. ^ "Norway will buy US jet fighters. "[dead link] Norway Post, Norwegian Broadcasting Corporation, 21 November 2008. Retrieved: 22 November 2008. ^ "Saab sågar norska Gripen-sågningen". Miljöaktuellt. 10 December 2008. Retrieved 12 June 2015. ^ "Norway." Archived 12 December 2008 at the Wayback Machine sr.se. Retrieved: 23 November 2009. ^ "Joint Strike Missile." Archived 31 December 2010 at the Wayback MachineKongsberg Defence Systems. Retrieved: 23 November 2009. ^ "Sweden 'tricked' in failed Norway Gripen bid." Archived 5 December 2010 at the Wayback Machine The Local, 3 December 2010. ^ "SV critical of own government over fighter jets." Views and News from Norway, 17 June 2011. ^ Berglund, Nina. "New fighter jets lack Arctic abilities." 27 October 2011. ^ "Norway buys 2 US-built Joint Strike Fighter jets. "[dead link] AP, 15 June 2012. ^ Perry, Dominic. "Norway orders F-35As after securing JSM integration support." Flight Magazine, 15 June 2012. ^ "Lockheed Martin and Norwegian Armed Forces Celebrate Rollout of Norway's First F-35A". F-35 Lightning II. Retrieved 24 September 2015. ^ "Despite JSF Pact, Turkey Doesn’t Rule Out Eurofighter Buy." Archived 10 July 2011 at the Wayback Machine Electronic Aviation, 31 January 2007. ^ "F-35 uçakları." NTV-MSNBC, 31 October 2006. ^ "Hürriyet: İlk F-35'te dört Türk parçası uçtu." Archived 28 July 2011 at the Wayback Machine gbulten.ssm.gov.tr, 24 December 2006. ^ "Turkey Signs F-35 Production MoU." Defenseindustrydaily.com, 29 January 2007. Retrieved: 23 November 2009. ^ "Turkey to possibly buy 20 more F-35 fighters." hurriyetdailynews.com. Retrieved: 23 November 2009. ^ "Northrop Grumman Authorizes International Suppliers To Begin Work On First Phase Of F-35 Low Rate Initial Production." SpaceWar, 7 December 2007 via ""Archive. ", 7 July 2010. ^ "Defense News. "[permanent dead link] Defense World. Retrieved: 23 November 2009. ^ Yavuz, Ercan (January 2011). "Problems persist with the US on fighter planes". Sunday's Zaman. Archived from the original on 23 January 2011. Retrieved 23 January 2011. ^ UMIT ENGINSOY and BURAK EGE BEKDIL "Turkey May Buy Up to 116 F-35s: Defense Minister." Defense News, 24 January 2011. ^ "ABD, F-35'in uçuş kodlarını vermeye yanaşmıyor". gazetevatan.com. Retrieved 12 June 2015. ^ Sonca, Emre. "‘Code crisis’ overshadows Turkey's planned purchase of F-35 jets." Archived 15 March 2011 at the Wayback Machine Today's Zaman, 12 March 2011. ^ Ekşi, Özgür. "Turkey proposes cost-cutting measure to US on F-35 project." Hurriyet Daily News. 17 April 2012. ^ "Turkey to Order F-35 Fighters from U.S." AFP, 5 January 2012. ^ Eshel, Tamir. "Turkish Decision Paves the F-35′s Way to Ankara." Defense Update, 5 January 2012. ^ "Turkey Postpones Order for Its First Two F-35 Fighters". Defense News. Retrieved 12 June 2015. ^ Reuters (15 January 2015). "Turkey to Order Four More F-35 Fighter Jets-Davutoglu". New York Times. Retrieved 7 January 2015. ^ "Turkey Received Delivery Of Its First F-35 Aircraft". www.f35.com. 30 June 2018. ^ "Turkish pilot carries out first F-35 jet flight in US". www.hurriyetdailynews.com. 29 August 2018. ^ Manson, Katrina; Pitel, Laura. "US Senate blocks F-35 sales to Turkey". www.ft.com. Financial Times. Retrieved 19 June 2018. ^ Seligman, Lara (13 August 2018). "Trump Blocks Fighter Jet Transfer Amid Deepening U.S.-Turkey Rift". foreignpolicy.com. Retrieved 14 August 2018. ^ Stevenson, Beth (22 August 2018). "US, Turkey continuing F-35 collaboration". www.janes.com. London: IHS Jane's. ^ Host, Pat (24 August 2018). "Additional US legislation banning further F-35 deliveries to Turkey advances". www.janes.com. Washington, DC: IHS Jane's. Retrieved 28 August 2018. ^ Stone, Mike; Pamuk, Humeyra (1 April 2019). "U.S. halts F-35 equipment to Turkey, protests its plans to buy from Russia". Reuters. Washington. Archived from the original on 2 April 2019. Retrieved 2 April 2019. ^ Kelly, Fergus (2 April 2019). "US suspends F-35 deliveries to Turkey over S-400 purchase from Russia". The Defense Post. Archived from the original on 2 April 2019. Retrieved 2 April 2019. ^ Dewitte, Lieven. "Israel inks LOA to join Joint Strike Fighter program." f-16.net, 31 July 2003. Retrieved: 2 March 2010. ^ "Israel Plans to Buy Over 100 F-35s." DefenseIndustryDaily.com, 27 June 2006. Retrieved: 23 November 2009. ^ Guttman, Nathan. "Israel, US battling over sale of jets. "[permanent dead link] The Jerusalem Post, 22 May 2006. Retrieved: 23 November 2009. ^ "Singapore Signs Letter of Intent for Joint Strike Fighter Programme." MINDEF, 19 April 2006. Retrieved: 16 June 2010. ^ Fiddian, Paul. "Singapore Could Purchase Joint Strike Fighter: Davis." armedforces-int.com, 8 July 2008. Retrieved: 26 March 2010. ^ Thayer, Carl (10 March 2014). "Singapore is studying the F-35B Lightning as part of its larger effort to gain air dominance in its neighborhood". thediplomat.com. The Diplomat. Retrieved 10 March 2014. ^ Capaccio, Anthony (9 August 2016). "Singapore Puts Off Decision on Whether to Buy Lockheed's F-35". Bloomberg.com. The Diplomat. Retrieved 9 August 2016. ^ Waldron, Greg (18 January 2019). "Singapore commits to "small" F-35 procurement". FlightGlobal. Singapore. Archived from the original on 19 January 2019. Retrieved 19 January 2019. ^ Wong, Kelvin (18 January 2019). "Singapore shortlists F-35 for F-16 replacement programme". Jane's 360. Singapore. Archived from the original on 18 January 2019. Retrieved 19 January 2019. ^ Yeo, Mike (18 January 2019). "Singapore wants the F-35 to replace its F-16s". Defense News. Melbourne, Australia. Archived from the original on 19 January 2019. Retrieved 19 January 2019. ^ Wong, Kelvin (1 March 2019). "Singapore to place initial buy of four F-35 JSFs for further evaluation". Jane's 360. Singapore. Archived from the original on 1 March 2019. Retrieved 1 March 2019. ^ Yeo, Mike (1 March 2019). "Singapore moves to buy four F-35s, possibly eight more afterward". Defense News. Melbourne, Australia. Archived from the original on 1 March 2019. Retrieved 1 March 2019. ^ Waldron, Greg (1 March 2019). "Singapore to order four F-35s, with options for eight". Flight Global. Singapore. Archived from the original on 1 March 2019. Retrieved 1 March 2019. ^ Trimble, Stephen. "Leaked cable spills Belgium's plans to buy F-35s." Flight Global, 12 September 2011. ^ "«La Belgique quasi-contrainte d'acheter le F-35 si elle conserve sa mission nucléaire»". L'Avenir (in French). 19 April 2015. Archived from the original on 19 December 2017. Retrieved 19 December 2017. ^ "Belgium Forced to Buy F-35 If Nuclear Strike Mission Maintained". Defense Aerospace. 19 April 2015. Archived from the original on 19 December 2017. Retrieved 19 December 2017. ^ Orban, André (17 March 2017). "Belgian Government gives green light at launch of purchase procedure for new fighter jet". Aviation 24 Belgium. Archived from the original on 19 December 2017. Retrieved 19 December 2017. ^ Jennings, Gareth (20 March 2017). "Belgium formally launches fighter replacement effort". IHS Jane's 360. London. Archived from the original on 19 December 2017. Retrieved 19 December 2017. ^ Maass, Ryan (20 April 2017). "Boeing pulls out of 'unfair' Belgian fighter replacement bid". United Press International. Archived from the original on 19 December 2017. Retrieved 19 December 2017. ^ Giangreco, Leigh (19 April 2017). "Boeing pulls out of Belgian fighter competition". Flight Global. Washington, DC. Archived from the original on 19 December 2017. Retrieved 19 December 2017. ^ Insinna, Valerie (10 July 2017). "Sweden pulls out of Belgian fighter battle". Defense News. Washington, DC. Archived from the original on 19 December 2017. Retrieved 19 December 2017. ^ Tran, Pierre (7 September 2017). "France offers Belgium Rafale jets and close partnership". Defense News. Paris. Archived from the original on 19 December 2017. Retrieved 19 December 2017. ^ Irish, John (7 September 2017). "UPDATE 1-France offers Belgium warplanes, military deal". Reuters. Paris. Archived from the original on 19 December 2017. Retrieved 19 December 2017. ^ Bartunek, Robert-Jan; Altmeyer, Cyril; Hardcastle, Elaine (5 October 2017). "Belgium eyes British, U.S. jets; French offer under legal scrutiny". Reuters. Brussels. Archived from the original on 19 December 2017. Retrieved 19 December 2017. ^ Perry, Dominic (5 October 2017). "Belgium casts doubts on Rafale offer". Flight Global. London. Archived from the original on 19 December 2017. Retrieved 19 December 2017. ^ "Belgium – F-35 Joint Strike Fighter Aircraft". US Defense Security Cooperation Agency. Washington: US Department of State. 18 January 2018. Archived from the original on 20 January 2018. Retrieved 20 January 2018. ^ Alexander, David; Sanders, Chris; Walsh, Eric; O'Brien, Rosalba (19 January 2018). "U.S. approves possible sale of F-35 jets to Belgium for $6.5 billion". Reuters. Washington. Archived from the original on 20 January 2018. Retrieved 20 January 2018. ^ Mitchell, Ellen (18 January 2018). "US to sell F-35 fighter jets to Belgium in estimated $6.5B deal". The Hill. Archived from the original on 20 January 2018. Retrieved 20 January 2018. ^ Insinna, Valerie (19 January 2018). "U.S. State Department clears potential (and likely) sale of F-35s to Belgium". Defense News. Washington. Archived from the original on 20 January 2018. Retrieved 20 January 2018. ^ Gain, Nathan. "ACCaP program: Belgian Defense Minister final decision imminent". www.airrecognition.com. Retrieved 20 June 2018. ^ de Briganti, Giovanni. "In Major Reversal, Belgian PM Delays Fighter Decision, Will Thoroughly Evaluate French Rafale Offer". www.defense-aerospace.com. Retrieved 20 June 2018. ^ Stevenson, Beth. "Belgium delays, rescopes fighter programme". www.janes.com. Janes. Retrieved 20 June 2018. ^ Kelepouris, Stavros (8 October 2018). "Het moest altijd al de F-35 zijn". Knack (in Dutch). Archived from the original on 8 October 2018. Retrieved 11 October 2018. ^ Briganti, de, Giovanni (11 October 2018). "Belgium Chose F-35 In 2013, Tender is A Sham: Report". Defense Aerospace. Paris. Archived from the original on 11 October 2018. Retrieved 11 October 2018. ^ a b Emmott, Robin (25 October 2018). "Belgium picks Lockheed's F-35 over Eurofighter on price". Reuters. Brussels. Archived from the original on 25 October 2018. Retrieved 26 October 2018. ^ a b Insinna, Valerie (25 October 2018). "F-35 officially wins Belgian fighter contest". Defense News. Washington. Archived from the original on 25 October 2018. Retrieved 26 October 2018. ^ Sakamaki, Sachiko. "Japan Arms Ban Hurts Security as Firms Quit Industry, Business Lobby Says. "bloomberg.com, 13 August 2010. Retrieved: 16 August 2010. ^ Grevatt, Jon. "Japan looks to 'off-the-shelf' JSF purchase as chance to join programme fades." janes.com, 13 August 2010. Retrieved: 16 August 2010. ^ "EXCLUSIVE: Lockheed May Outsource F-35 Final Assembly to Japan." Jiji Press, 28 June 2011. ^ "Lockheed to offer F-35 work to Japan firms to win bid." Reuters, 6 October 2011. ^ "Lockheed would allow Japan to build F-35 jet parts." Yomiuri Shimbun, 9 October 2011. ^ "US Lockheed Martin F-35 chosen as Japan fighter jet". BBC News. 20 December 2011. Retrieved 20 December 2011. ^ "Japan Eases Ban On Weapons Exports." VOA, 27 December 2011. ^ "Defence & Security Intelligence & Analysis - IHS Jane's 360". janes.com. Retrieved 12 June 2015. ^ "Japan to stress its role as subcontractor to enable export of fighter jet parts". AJW by The Asahi Shimbun. Archived from the original on 14 June 2015. Retrieved 12 June 2015. ^ Kelly, Tim; Kubo, Nobuhiro (27 January 2014). "Exclusive: Mitsubishi Heavy in talks to become F-35 supplier, seeks Japan subsidy: sources". www.reuters.com. Thomson Reuters. Retrieved 27 January 2014. ^ MINNICK, WENDELL (10 February 2014). "Threats from China Shape Conflicting Priorities Throughout Asia-Pacific". www.defensenews.com. Gannett Government Media. Retrieved 10 February 2014. ^ "Ｆ35の追加取得検討も 防衛相「価格低下なら」 - MSN産経フォト". Photo.sankei.jp.msn.com. Archived from the original on 14 July 2014. Retrieved 2014-07-12. ^ Tajima, Yukio and Yoshifumi Uesaka (22 September 2014). "Japan again looks to get domestic fighter jet off ground". Nikkei Asian Review. Retrieved 4 October 2014. ^ "Govt eyes converting Izumo to aircraft carrier". The Japan Times (Yumiuri Shimbun). 26 December 2017. Archived from the original on 27 December 2017. Retrieved 27 December 2017. ^ Jennings, Gareth (27 December 2017). "Japan considers F-35B for carrier ops, national media reports". IHS Jane's 360. Archived from the original on 27 December 2017. Retrieved 27 December 2017. ^ Rahmat, Ridzwan (27 December 2017). "China urges Japan to 'act cautiously' on considerations to refit Izumo class for F-35Bs". IHS Jane's 360. Archived from the original on 27 December 2017. Retrieved 27 December 2017. ^ "China upset at Japan's plan to buy F-35B stealth fighter 'jump jets' for its helicopter carriers". news.com.au. 27 December 2017. Archived from the original on 27 December 2017. Retrieved 27 December 2017. ^ "F-35B jets eyed to defend remote isles / Fighters also mulled for MSDF's Izumo ship". The Japan News / Yomiuri Shimbun. 12 February 2018. Archived from the original on 13 February 2018. Retrieved 13 February 2018. ^ Dominguez, Gabriel (13 February 2018). "Japan eyes acquiring F-35Bs for defence of remote islands, says report". IHS Jane's 360. London. Archived from the original on 13 February 2018. Retrieved 13 February 2018. ^ "Japan to order 100 more F-35 fighters from US". Nikkei Asian Review. Tokyo. 27 November 2018. Archived from the original on 27 November 2018. Retrieved 27 November 2018. ^ a b c Mehta, Aaron (18 December 2018). "With massive F-35 increase, Japan is now biggest international buyer". Defense News. Washington. Archived from the original on 18 December 2018. Retrieved 18 December 2018. ^ a b c Waldron, Greg (18 December 2018). "Tokyo set to become second biggest F-35 operator". FlightGlobal. Singapore. Archived from the original on 18 December 2018. Retrieved 18 December 2018. ^ INC, SANKEI DIGITAL (18 December 2018). "Ｆ３５を１０５機追加取得 Ｆ１５後継 国内組み立ても取りやめ 閣議了解". 産経ニュース. Retrieved 25 December 2018. ^ "South Korea's fighter requirements come to the fore." flightglobal.com. Retrieved: 23 November 2009. ^ Sung-ki, Jung. "S. Korea Shifts Focus to Unmanned Combat Aircraft." "defensenews.com", 14 July 2008. Retrieved 5 April 2010. ^ "LOCKHEED DISPELS DOUBTS OVER F-35 IN S. KOREA'S FIGHTER JET PROJECT". Archived from the original on 12 September 2012. ^ Tae-hoon, Lee. "Lockheed Martin eager to win Korea's FX-race." Korean Times, 24 October 2011. ^ "Controversy erupts over simulation test of F-35 in fighter jet purchase." Yonhap, 7 June 2012. ^ Tae-hoon, Lee. "Top arms procurement officer rapped for misspeaking on F-35." Korea Times, 14 June 2012. ^ "S. Korea's fighter jet project becomes two-way race". yonhapnews.co.kr. Retrieved 12 June 2015. ^ Akin, David (18 August 2013). "South Korea goes with Boeing, dumps Lockheed-Martin's F-35 « David Akin's On the Hill". Blogs.canoe.ca. Archived from the original on 18 August 2013. Retrieved 18 August 2013. ^ "Sources: F-35 Bid Exceeds S. Korean Fighter Budget | Defense News". defensenews.com. 14 August 2013. Retrieved 18 August 2013. ^ pbr@yna.co.kr (9 May 2013). "(2nd LD) Boeing's F-15SE reportedly chosen as final candidate for S. Korea's next fighter plane". english.yonhapnews.co.kr. Archived from the original on 5 March 2014. Retrieved 18 August 2013. ^ Kim, Sam (24 September 2013). "South Korea to Hold New Fighter Tender After Rejecting Boeing". www.bloomberg.com. BLOOMBERG L.P. Retrieved 24 September 2013. ^ Song Sang-ho. "Seoul picks F-35 as its next-generation fighter" Korea Herald, 22 November 2013. Accessed: 22 November 2013. ^ Seung-woo, Kang (27 January 2014). "Korea to sign deal to buy F-35 jets by Sept". www.koreatimes.co.kr. The Korea Times. Retrieved 4 March 2014. ^ Smith, Josh; Perry, Michael (21 December 2017). "South Korea plans to buy 20 additional F-35 aircraft: report". Reuters. Seoul. Archived from the original on 21 December 2017. Retrieved 21 December 2017. ^ "S. Korea's military mulls operating F-35B stealth aircraft aboard new amphibious assault ship". Yonhap News Agency. Seoul. 25 December 2017. Archived from the original on 27 December 2017. Retrieved 27 December 2017. ^ Sisk, Richard (27 December 2017). "South Korea, Japan Mull F-35Bs for Amphibious Assault Ships". Military.com. Archived from the original on 27 December 2017. Retrieved 27 December 2017. ^ Cebul, Daniel (28 March 2018). "US, South Korea celebrate first South Korean F-35A and 'iron clad' alliance". DefenseNews. Washington. Archived from the original on 28 March 2018. Retrieved 13 April 2018. ^ Gady, Franz-Stefan (29 March 2018). "US, South Korea Roll Out 1st ROKAF F-35A Stealth Fighter". The Diplomat. Archived from the original on 1 April 2018. Retrieved 13 April 2018. ^ Jung, Da-min (30 March 2019). "Korea's first stealth jet fighters arrives". The Korea Times. Archived from the original on 31 March 2019. Retrieved 31 March 2019. ^ Raivio, Jyri and Helsingin Sanomat. "Helsingin Sanomat: ''Ilmavoimat tähyää uusiin hävittäjähankintoihin'&#39." Hs.fi. Retrieved: 23 November 2009. ^ David Pugliese. "Finland launches new fighter jet replacement program – F-35 and four other types of aircraft being considered". Ottawa Citizen. Retrieved 12 June 2015. ^ "HX fighter programme: Requests for quotation sent". valtioneuvosto.fi. Retrieved 20 June 2018. ^ "The F-35 is presented in the [GEA]... (renewal)." (in Greek) Archived 20 July 2011 at the Wayback Machine Defencenet.gr, 16 February 2009. Retrieved: 23 November 2009. ^ Trevithick, Joseph (17 October 2017). "Greece Plans to Spend Billions Upgrading Its F-16 Fighter Jet Fleet". The Drive. Archived from the original on 28 December 2017. Retrieved 28 December 2017. ^ Hope, Kerin (27 October 2017). "Greek PM defends decision to buy US-made fighter jets". Financial Times. Athens. Archived from the original on 28 December 2017. Retrieved 28 December 2017. ^ a b c d Stone, Mike (5 April 2019). "Pentagon eyes F-35 sales to Greece, Romania and Poland: U.S. official". Reuters. Washington. Archived from the original on 5 April 2019. Retrieved 5 April 2019. ^ "Greece to examine F-35 acquisition, says defense minister". Ekathimerini. 5 April 2019. Archived from the original on 5 April 2019. Retrieved 5 April 2019. ^ Bozinovski, Igor (15 April 2019). "Greece eyes F-35s as F-16 replacement". Flight Global. Archived from the original on 15 April 2019. Retrieved 15 April 2019. ^ Joshi, Saurabh (24 January 2018). "IAF mulls F-35 order - Early stage deliberations set to begin". StratPost. Archived from the original on 23 January 2018. Retrieved 23 January 2018. ^ Gady, Franz-Stefan (16 February 2018). "Report: India Requests Classified F-35A Joint Strike Fighter Briefing". The Diplomat. Archived from the original on 16 February 2018. Retrieved 16 February 2018. ^ Shukla, Ajai (15 February 2018). "Capability jump: IAF looks to buy fifth-generation F-35 fighter". Business Standard. New Delhi. Archived from the original on 16 February 2018. Retrieved 16 February 2018. ^ Singh, Sushant (1 March 2018). "No request made to US for F-35 fighter jet, says IAF chief B S Dhanoa". The Indian Express. New Delhi. Archived from the original on 1 March 2018. Retrieved 1 March 2018. ^ "Not approached Lockheed Martin for buying US F-35 fighter jet: IAF chief BS Dhanoa". Zee News. New Delhi. 1 March 2018. Archived from the original on 1 March 2018. Retrieved 1 March 2018. ^ SV, Vikas (1 March 2018). "IAF denies showing interest in fighter jet F-35's procurement". Oneindia. Archived from the original on 1 March 2018. Retrieved 1 March 2018. ^ Joshi, Saurabh (15 March 2018). "U.S. PACOM boss comes out in support of F-35 sale to India". StratPost. New Delhi. Archived from the original on 18 March 2018. Retrieved 18 March 2018. ^ "US Admiral Harry Harris backs selling F-35s to India". Asia Times. 16 March 2018. Archived from the original on 16 March 2018. Retrieved 18 March 2018. ^ Remigiusz Wilk, Warsaw - IHS Jane's Defence Weekly (2014-02-24). "Poland to buy 64 fifth-generation fighters - IHS Jane's 360". Janes.com. Retrieved 2014-07-30. ^ Siminski, Jacek (2014-02-23). "Poland about to buy 64 fifth generation fighter jets. But F-35s seem to be unaffordable". The Aviationist. Retrieved 2014-07-30. ^ Adamowski, Jaroslaw (2 June 2017). "Poland to buy 5th-gen fighter jets around 2025". Defense News. Warsaw. Archived from the original on 28 December 2017. Retrieved 28 December 2017. ^ Adamowski, Jaroslaw (24 March 2017). "Poland mulls F-35, F-16A/B fighters acquisition". Defense News. Warsaw. Archived from the original on 25 December 2017. Retrieved 28 December 2017. ^ Adamowski, Jarosław (28 February 2019). "Poland wants to buy fifth-gen fighters under $49B modernization program". Defense News. Warsaw, Poland. Archived from the original on 1 March 2019. Retrieved 1 March 2019. ^ Siminski, Jacek (28 February 2019). "Poland Making Steps Towards Procuring 32 F-35 Fifth Generation Jets?". The Aviationist. Archived from the original on 1 March 2019. Retrieved 1 March 2019. ^ Glowacki, Bartosz (5 April 2019). "Poland hopeful of speeding F-35 acquisition". FlightGlobal. Warsaw. Archived from the original on 5 April 2019. Retrieved 5 April 2019. ^ "Avionul F-35 Lightning II poate ajunge în România". SlatinaTa.ro. Archived from the original on 9 September 2012. Retrieved 20 April 2012. ^ "România vrea să cumpere F-35, cele mai scumpe şi avansate avioane de luptă din lume". Economica.net (in Romanian). 29 September 2017. Archived from the original on 28 December 2017. Retrieved 28 December 2017. ^ Șelaru, Cristi (1 October 2017). "România se înarmează: Vom avea 48 de avioane F-16, o escadrilă de F-35 și se renunță la Kalașnikov". Stiripesurse.ro (in Romanian). Archived from the original on 28 December 2017. Retrieved 28 December 2017. ^ "Saudi Defence Ministry, F-15 Silent Eagle and F-35 JSF". Tactical Report. 21 March 2012. p. 3 February 2013. Archived from the original on 3 February 2013. Retrieved 20 January 2018. ^ Trevithick, Joseph (13 November 2017). "Saudis Join UAE in Push to Buy F-35s as Concerns About the Jet's Computer Network Grow". The Drive. Archived from the original on 20 January 2018. Retrieved 20 January 2018. ^ Machi, Vivienne (22 December 2017). "Uncertain Path Ahead for F-35 Sales to Middle East (UPDATED)". National Defense Magazine. National Defense Industrial Association. Archived from the original on 20 January 2018. Retrieved 20 January 2018. ^ "Spanish Armada Website." Armada.mde.es. Retrieved: 23 November 2009. ^ "Singapore Could Purchase Joint Strike Fighter: Davis". armedforces-int.com. Retrieved 12 June 2015. ^ "Adios F-35 Purchase: Spain Extends the Life of Its Harriers". defense-aerospace.com. Retrieved 12 June 2015. ^ ""Spain to extend AV-8B Harrier service life"". janes.com. Retrieved 8 July 2018. ^ González, Miguel (5 June 2017). "Spain's Air Force and Navy have sights set on new American fighter aircraft". elpais.com. EL PAÍS. Retrieved 5 June 2017. ^ Copley, Caroline; Williams, Alison (18 May 2014). "Swiss voters narrowly block deal to buy Saab fighter jets: projection". Reuters. Zurich. Archived from the original on 20 January 2018. Retrieved 20 January 2018. ^ Freed, Jamie; Stone, Mike; Wardell, Jane; Anantharaman, Muralikumar (3 March 2017). "Lockheed says in talks with Spain, Belgium, others on buying F-35s". Reuters. Avalon, Australia. Archived from the original on 20 January 2018. Retrieved 20 January 2018. ^ "Lockheed hits 2017 F-35 delivery target despite production hiccups". CNBC. 18 December 2017. Archived from the original on 20 January 2018. Retrieved 20 January 2018. ^ Sprenger, Sebastian (27 March 2018). "Switzerland names contenders in $8 billion 'Air 2030' program". DefenseNews. Cologne, Germany. Archived from the original on 28 March 2018. Retrieved 13 April 2018. ^ "No more than CHF8 billion for new fighter jets". Swiss Info. 8 November 2017. Archived from the original on 9 November 2017. Retrieved 13 April 2018. ^ Johnson, Rueben F (24 October 2018). "Update: Switzerland's Air 2030 plan narrows down options". IHS Jane's 360. Kiev. Archived from the original on 26 October 2018. Retrieved 26 October 2018. ^ Sprenger, Sebastian (11 April 2019). "The F-35 and other warplanes descend on Switzerland this spring". Defense News. Cologne, Germany. Archived from the original on 11 April 2019. Retrieved 11 April 2019. ^ Dombey, Daniel; Lemer, Jeremy (21 March 2010). "Decision looms for US on Middle East arms supply". Financial Times. Archived from the original on 11 November 2017. Retrieved 11 November 2017. ^ Hoffman, Michael (24 February 2015). "Israel Buys More 14 More F-35s as US Denies JSF Sales to Gulf States". DoD Buzz. Military.com. Archived from the original on 29 June 2016. Retrieved 11 November 2017. ^ Opall-Rome, Barbara (4 November 2017). "Trump could let the UAE buy F-35 jets". Defense News. Tel Aviv. Archived from the original on 4 November 2017. Retrieved 11 November 2017. ^ Edwards, Jane (6 November 2017). "Report: Trump Mulls UAE's Classified Briefing Request Over F-35 Procurement". Executive Gov. Archived from the original on 11 November 2017. Retrieved 11 November 2017. ^ a b Trevithick, Joseph (6 November 2017). "UAE Could Become the First Middle Eastern Country After Israel to Get the F-35". The Drive. Archived from the original on 8 November 2017. Retrieved 11 November 2017. ^ a b Insinna, Valerie (11 November 2017). "US Air Force official confirms rumors of F-35 talks with UAE". Defense News. Dubai. Archived from the original on 11 November 2017. Retrieved 11 November 2017. ^ Giangreco, Leigh (13 November 2017). "DUBAI: USAF general sceptical of mixed F-35 and Russian fleet for UAE". Flight Global. Dubai. Archived from the original on 13 November 2017. Retrieved 13 November 2017. ^ Shalal, Andrea; Weir, Keith; Potter, Mark (17 May 2017). "Germany asks U.S. for classified briefing on Lockheed's F-35 fighter". Reuters. Berlin. Archived from the original on 28 December 2017. Retrieved 28 December 2017. ^ Insinna, Valerie (23 June 2017). "German officials meet with Lockheed to talk F-35 at Paris Air Show". Le Bourget, France. Archived from the original on 28 December 2017. Retrieved 28 December 2017. ^ Shalal, Andrea (29 September 2017). "Germany asks for Boeing fighter data as weighs order options". Reuters. Berlin. Archived from the original on 28 December 2017. Retrieved 28 December 2017. ^ Rich, Gillian (29 September 2017). "Germany Is Looking At These Fighters After Reviewing The F-35". Investor's Business Daily News. Archived from the original on 28 December 2017. Retrieved 28 December 2017. ^ Siebold, Sabine; Nasr, Joseph; King, Larry (11 December 2017). "Germany favors Eurofighter as it seeks to replace Tornado". Reuters. Berlin. Archived from the original on 28 December 2017. Retrieved 28 December 2017. ^ Jennings, Gareth (8 November 2017). "Germany declares preference for F-35 to replace Tornado". IHS Jane's 360. Archived from the original on 28 December 2017. Retrieved 28 December 2017. ^ Jennings, Gareth (13 December 2017). "German MoD says Luftwaffe should get more Eurofighters, not F-35s". IHS Jane's 360. Archived from the original on 28 December 2017. Retrieved 28 December 2017. ^ Sprenger, Sebastian (12 December 2017). "Spat over the F-35 bubbles up in Germany". Defense News. Cologne. Archived from the original on 28 December 2017. Retrieved 28 December 2017. ^ Trevithick, Joseph (11 December 2017). "Germany Reportedly Favors Typhoon to Replace Tornado, Also Eyeing F-15, F/A-18". The Drive. Archived from the original on 28 December 2017. Retrieved 28 December 2017. ^ Schulte, Sebastian (16 March 2018). "Luftwaffe chief dismissed over F-35 support". IHS Jane's 360. Berlin. Archived from the original on 16 March 2018. Retrieved 18 March 2018. ^ Morcinek, Martin (16 March 2018). "Über einen Kampfjet gestolpert? Inspekteur der Luftwaffe muss gehen". n-tv (in German). Archived from the original on 17 March 2018. Retrieved 18 March 2018. ^ Thiels, Christian (16 March 2018). "Von der Leyens Wachwechsel". Tagesschau (in German). Archived from the original on 16 March 2018. Retrieved 18 March 2018. ^ Gouré, Dan (8 March 2018). "Nuclear burden-sharing dictates that Germany acquire the F-35". Defense News. Archived from the original on 8 March 2018. Retrieved 15 March 2018. ^ Sprenger, Sebastian (2019-01-31). "Germany officially knocks F-35 out of competition to replace Tornado". Defense News. ^ "Taiwan seeks advanced U.S. jet fighters." En.rian.ru, 26 March 2009. Retrieved: 23 November 2009. ^ "Taiwan plans to request F-35s from US". Taipei Times. 20 September 2011. Retrieved 16 January 2012. ^ Shim, Elizabeth (28 April 2017). "Taiwan's plan to buy F-35 fighter jets riles China". United Press International. Archived from the original on 17 October 2017. Retrieved 17 October 2017. ^ Gady, Franz-Stefan (3 May 2017). "Taiwan Pushes For Sale of F-35 Fighter Jets". The Diplomat. Archived from the original on 17 October 2017. Retrieved 17 October 2017. ^ Yeo, Mike (16 March 2018). "Taiwan renews interest in F-35 to counter Chinese first strike". Defense News. Melbourne. Archived from the original on 18 March 2018. Retrieved 18 March 2018. ^ Brennan, David (16 March 2018). "Taiwan Wants U.S. F-35 Jets To Defend Against Chinese Invasion". Newsweek. Archived from the original on 16 March 2018. Retrieved 18 March 2018. ^ Gould, Joe (26 March 2018). "Give Taiwan the F-35 to deter China, top senators tell Trump". Defense News. Washington, D.C. Archived from the original on 27 March 2018. Retrieved 18 April 2018. ^ Zengerle, Patricia (26 March 2018). "U.S. Republicans press for F-35 fighter jet sales to Taiwan amid China threat". Reuters. Washington, D.C. Archived from the original on 18 April 2018. Retrieved 18 April 2018. ^ "Taiwan told to boost training for pilots amid F-35 sale doubt". Asia Times. 17 April 2018. Archived from the original on 17 April 2018. Retrieved 18 April 2018. ^ "Not So Fast: US F-35 Deal With Taiwan Iced Over Fears of Chinese Spies on Island". Sputnik International. 18 April 2018. Archived from the original on 18 April 2018. Retrieved 18 April 2018. ^ Zhezheng, Hong (28 November 2018). "放棄F-35 我擬對美採購66架F-16V新戰機" (in Chinese). Archived from the original on 29 November 2018. Retrieved 29 November 2018. ^ "Taiwan ends quest for F-35s as Japan looks at buying 100 more". Asia Times. 29 November 2018. Archived from the original on 29 November 2018. Retrieved 29 November 2018. ^ Morgan, Scott (28 November 2018). "Taiwan plans purchase of 66 F-16V fighter jets: report". Taiwan News. Taipei. Archived from the original on 28 November 2018. Retrieved 29 November 2018. ^ Minnich, Wendell (28 November 2018). "Taiwan Gives Up On F-35, Turns to F-16V Option". Taipei. Archived from the original on 28 November 2018. Retrieved 29 November 2018. ^ "Lockheed, Pentagon ink $4.7 billion deal for eighth batch of F-35 fighters". Reuters, 21 November 2014. ^ "F-35 Chief Disputes Trump's Characterization of 'Out of Control' Program". DefenseNews. ^ "DoD awards Lot 10 production contract for F-35". Retrieved 2016-11-30. ^ "Pentagon, Lockheed reach agreement on F-35 contract for 90 jets". Retrieved 2017-02-03. ^ "Pentagon and Lockheed Martin Agree To Reduced F-35 Price in New Production Contract". ^ "Lockheed to Produce 50 Lot 11 F-35s for FMS Clients Under $3.7B Navy Contract Modification - GovCon Wire". govconwire.com. Retrieved 8 July 2018. ^ a b c d e f g h i j Lake, Jon (2010). "The West's Great Hope". AirForces Monthly. Key Publishing. December 2010: 37–45. ^ a b c d "Defense awards F-35 contract modification". UPI. Retrieved 29 November 2010. ^ Ryan, Missy (17 November 2010). "Israel says in talks on more F-35 fighter jets". Reuters. Retrieved 18 November 2010. ^ Amos Harel (9 May 2011). "Israel to invest $1 billion in Iron Dome missile defense system". Haaretz. Retrieved 9 May 2011. ^ "FACTBOX-Current plans for F-35 warplane orders from U.S., allies". GlobalPost. Archived from the original on 14 June 2015. Retrieved 12 June 2015. ^ Ellery, David (2012-06-06). "Air force chief wants major military spend". The Sydney Morning Herald. Retrieved 2018-08-22. ^ "Norway highlights F-35 commitment as Russia boosts military activity". Reuters. Retrieved 22 October 2015. ^ Reed Business Information Limited. "Israel signs for next batch of F-35 'Adir' fighters". flightglobal.com. Retrieved 12 June 2015. ^ "Aftale Om Anskaffelse Af Nye Kampfly" [Agreement for Acquisition of New Combat Aircraft] (PDF). Ministry of Defence (Denmark) (in Danish). 9 June 2016. Retrieved 12 January 2017. ^ Smith, Rich. "Look Who's Buying Lockheed Martin's F-35 Now!". fool.com. Retrieved 8 July 2018. Kopp, Carlo and Peter Goon. "Joint Strike Fighter." Air Power Australia. Retrieved: 15 July 2007. Winchester, Jim. "Lockheed Martin X-35/F-35 JSF." Concept Aircraft: Prototypes, X-Planes and Experimental Aircraft. Kent, UK: Grange Books plc., 2005. ISBN 1-59223-480-1. McNally, O’Neill and Holbert, Dr Raymond, Dr Patrick N and Fran (September 2012). "Management of Australia's Air Combat Capability— F-35A Joint Strike Fighter Acquisition" (PDF). Australian National Audit Office: Audit Report No.6 2012–13 Performance Audit. Department of Defence: Defence Materiel Organisation. Archived from the original (PDF) on 19 March 2013. Retrieved 18 January 2013. This page was last edited on 15 April 2019, at 21:29 (UTC).